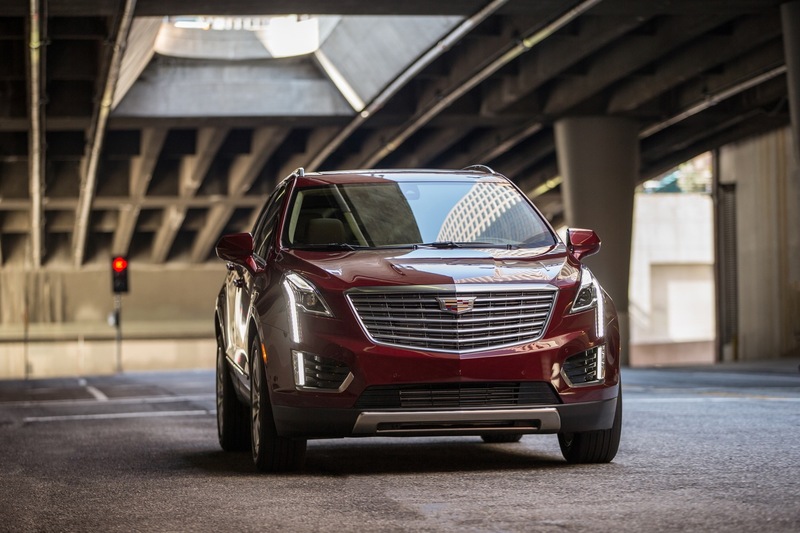 The 2017 Cadillac XT5 is a midsize luxury crossover that replaces the second-generation Cadillac SRX. 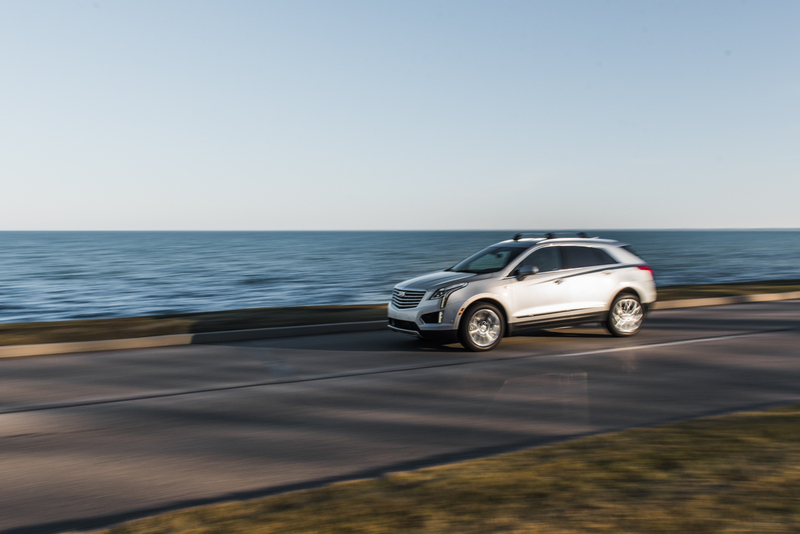 The 2017 Cadillac XT5 evolves and refines Cadillac’s Art & Science design language. 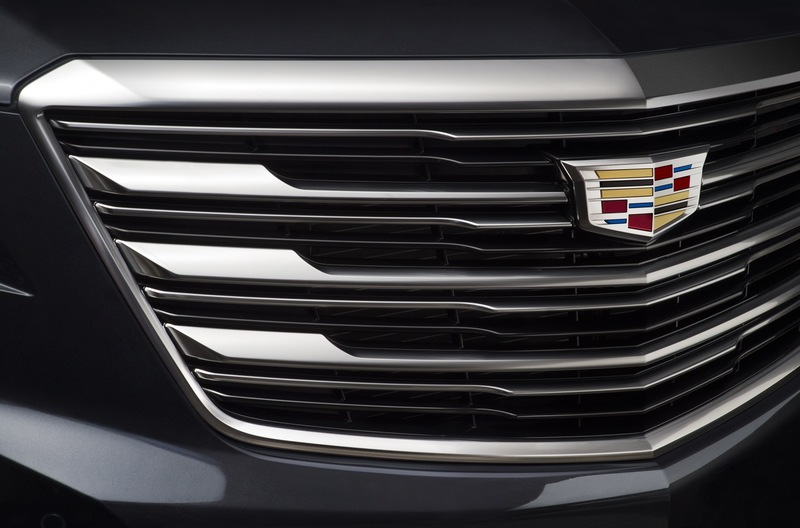 Up front, a large and stylized grille with three horizontal bars wears the new Cadillac Crest logo. A front-view camera is neatly tucked below the Crest. Headlamps run horizontally into the front fender and vertically down the front via a “teardrop”. 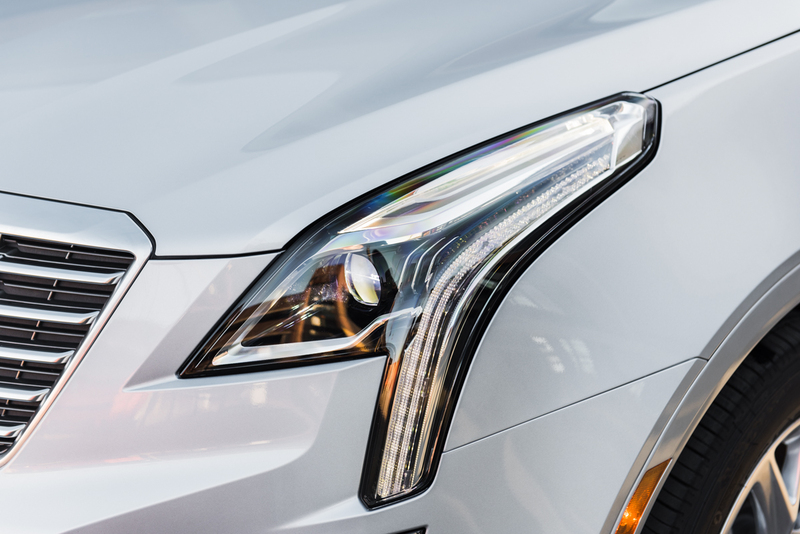 The outer edge of the headlight and the “teardrop” feature signature LED accent lights. The teardrop runs into another signature LED accent light in the lower fascia. These lower accent LED lights are not integrated into the lower intake, but are instead part of a separate decorative lower fascia treatment. 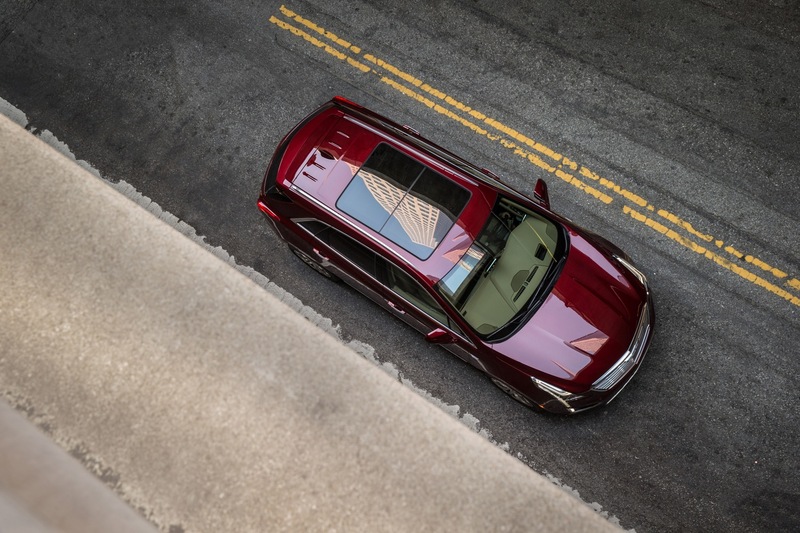 The hood, meanwhile, features surface styling elements that integrate with that of the headlights. 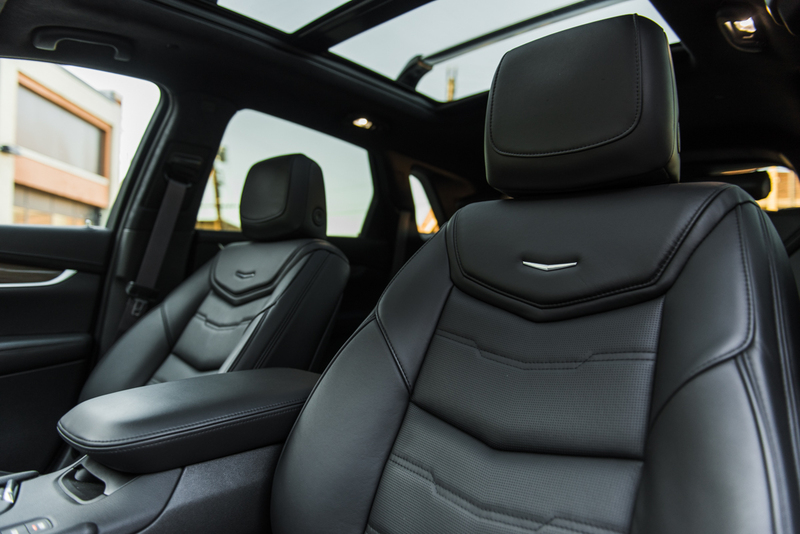 Windshield washer sprayers are hidden beneath the hood, allowing for an uninterrupted design of the hood. 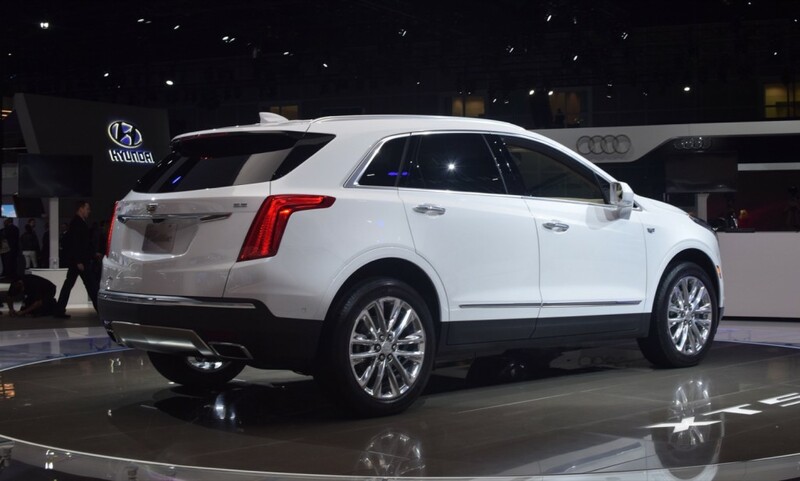 From the side, the XT5 has a different presence than other Cadillac vehicles such as the ATS, CTS, and CT6. 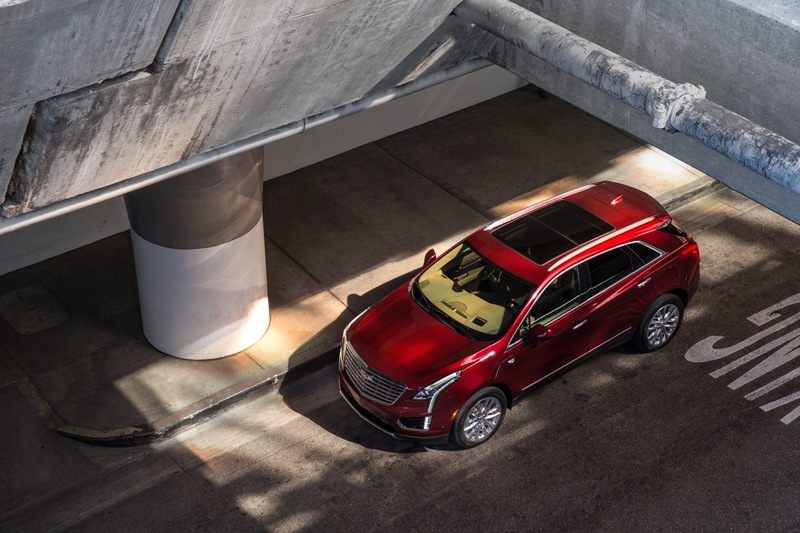 That’s because unlike those vehicles, the XT5 rides on a front-drive platform that is limited to a cab-forward stance, defined by a relatively short hood and even shorter axle-to-dash ratio. 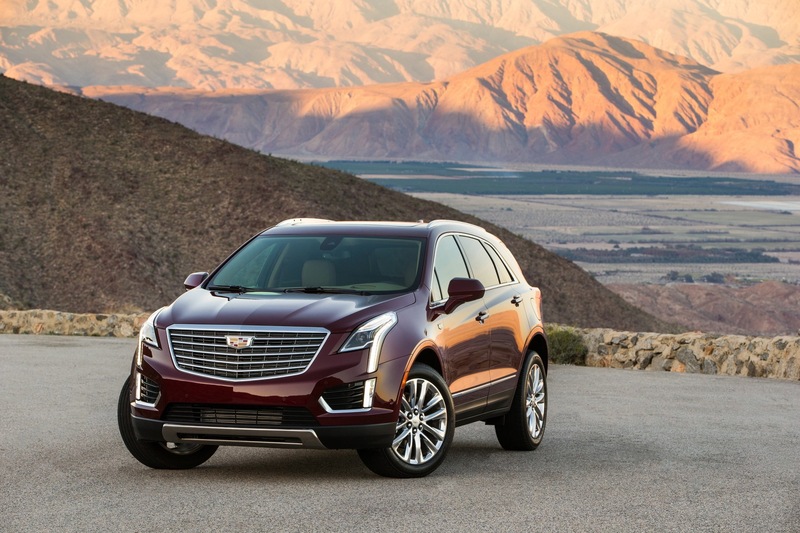 By comparison, subsequent crossovers from Cadillac are expected to ride on rear-drive architectures, enabling the vehicles to have cab-rearward proportions as well as a longer dash-to-axle ratio. 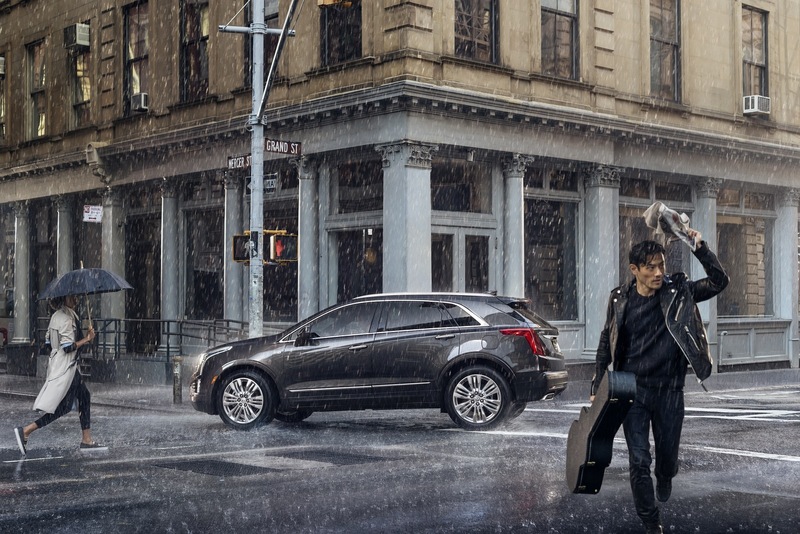 The XT5’s profile is defined by a prominent character line that runs from the front door to the taillamp. 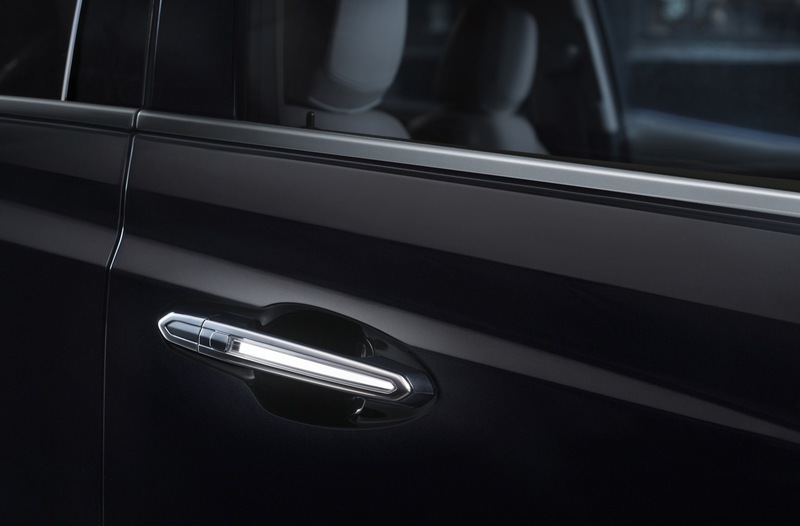 The line gradually rises as it reaches the end of the vehicle, following the door handles, with the handles of the rear doors being positioned higher than those of the front doors. 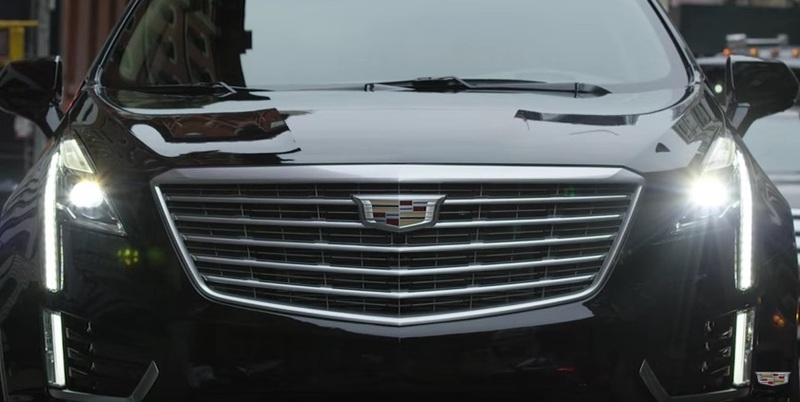 A monochrome Cadillac Crest sits slightly below the door-mounted side mirror, just aft of the front door seam. 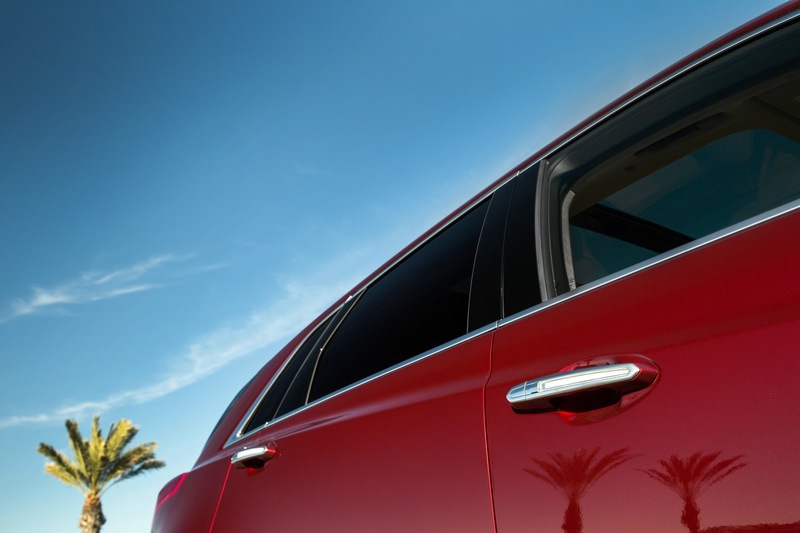 The vehicle has four pillars, but only three are visible from the outside of the vehicle, since the third (C-pillar) is not visible from the outside. Finished in chrome, the daylight opening (DLO) tapers at the rear, while another chrome accent spans the lower section of the vehicle. 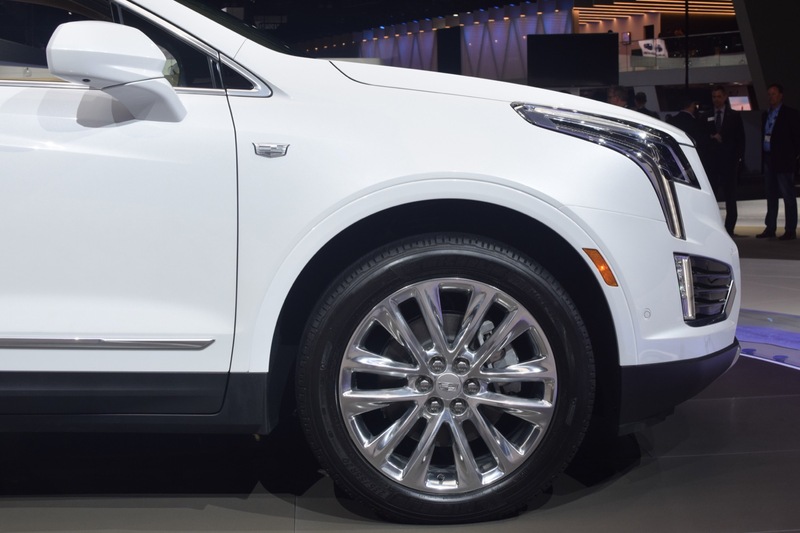 The XT5 is offered with a choice of 18- and 20-inch wheels. 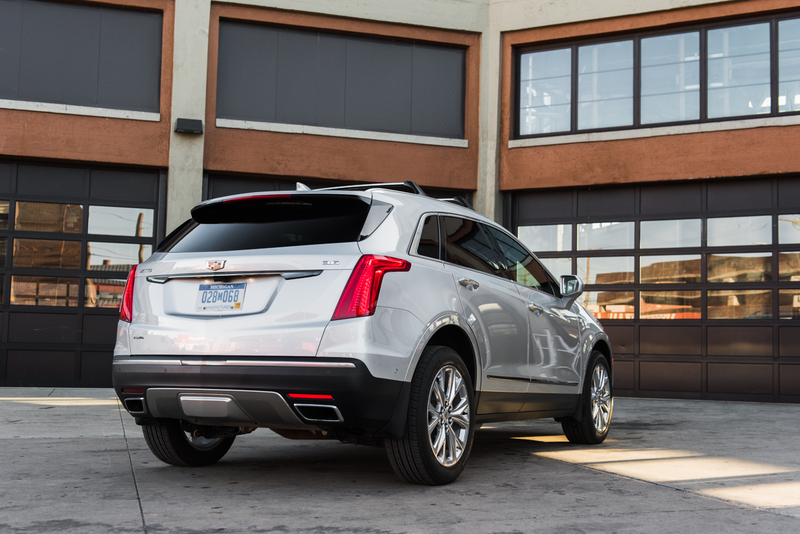 The rear end of the XT5 is defined by a large liftgate and large LED taillamps that run vertically and horizontally. 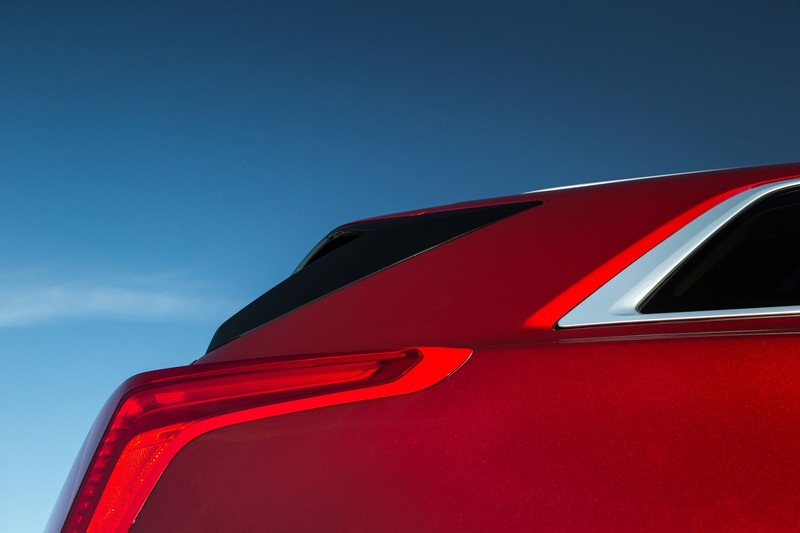 At the top, an integrated spoiler houses the wiper, enabling enhanced operation by protecting it from ice and other debris. 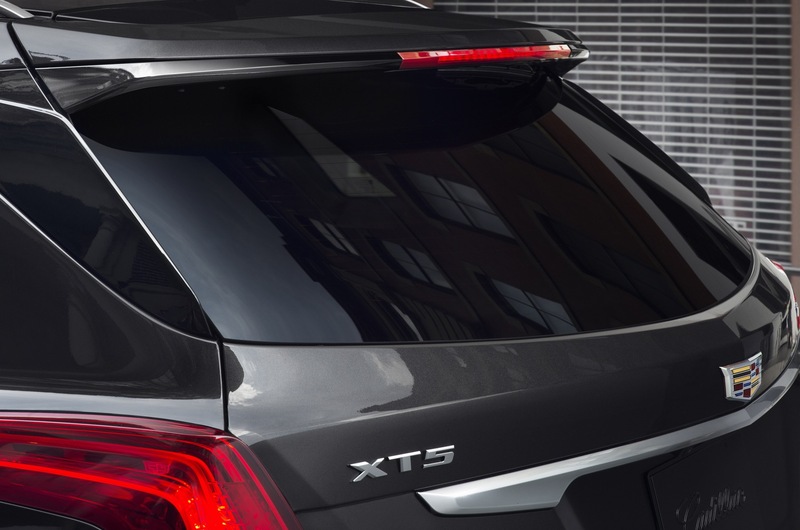 Though the spoiler is most prominent at the top of the vehicle, it actually wraps around the window of the liftgate. It’s trimmed in white at the top and in black on the sides. 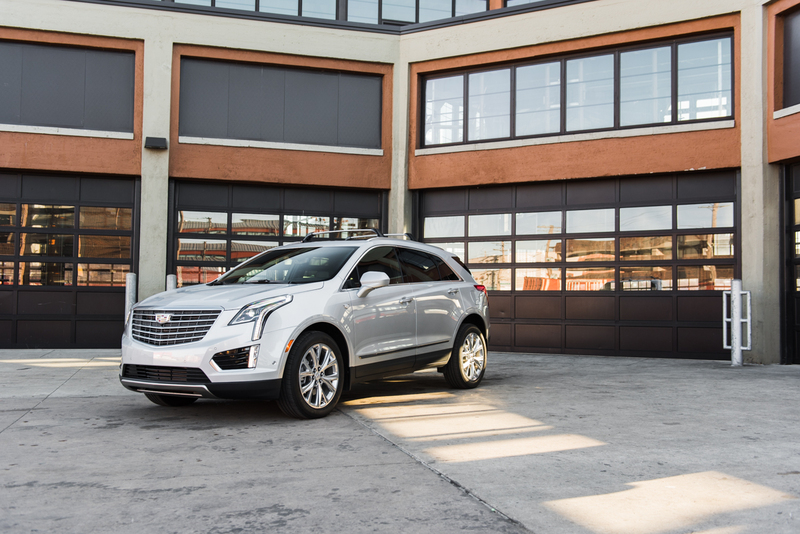 Unique “wraparound” surface styling at the junction of the liftgate window and body give the XT5 a wide stance. 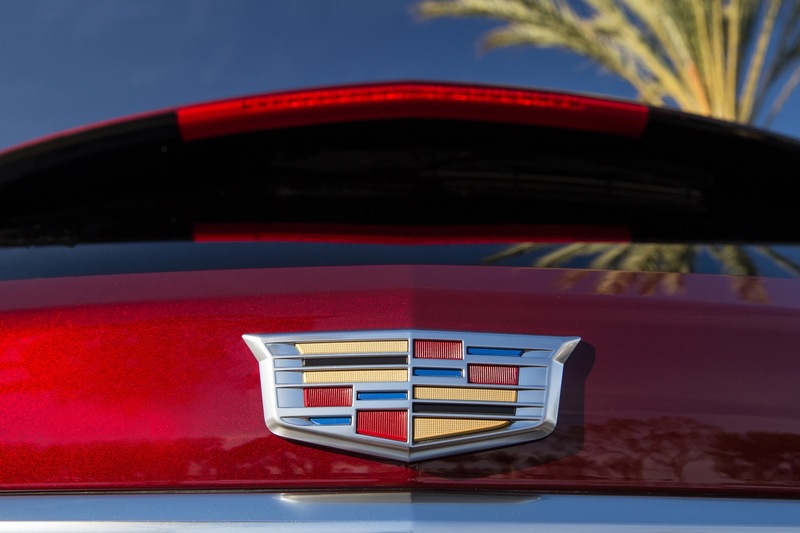 The Cadillac Crest sits prominently in the middle of the hatch door. 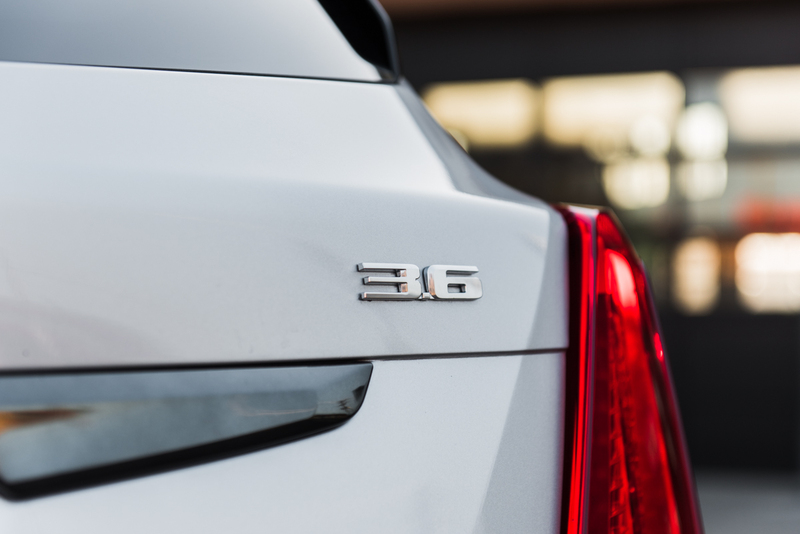 It is complimented by the model designation (XT5) to its left and the engine designation (3.6) to its right. 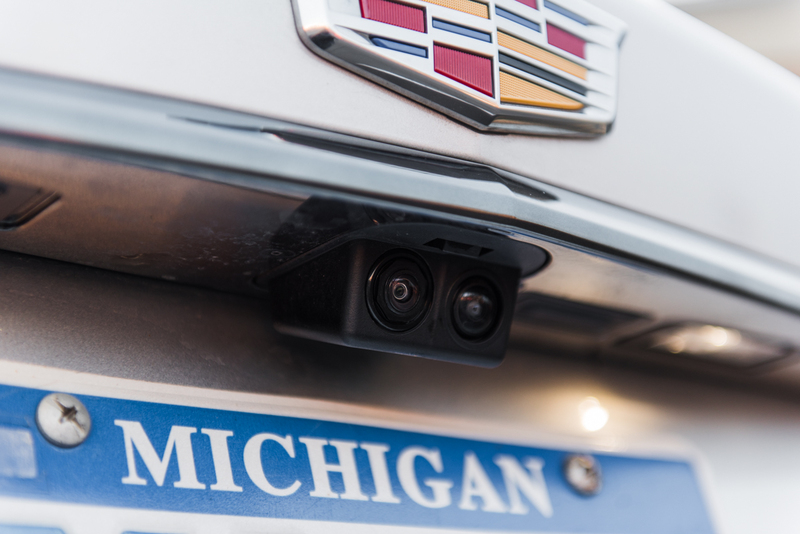 A chrome trim piece spanning the width of the vehicle is placed below the Crest yet above the license plate cutout, integrating the rear-view camera. 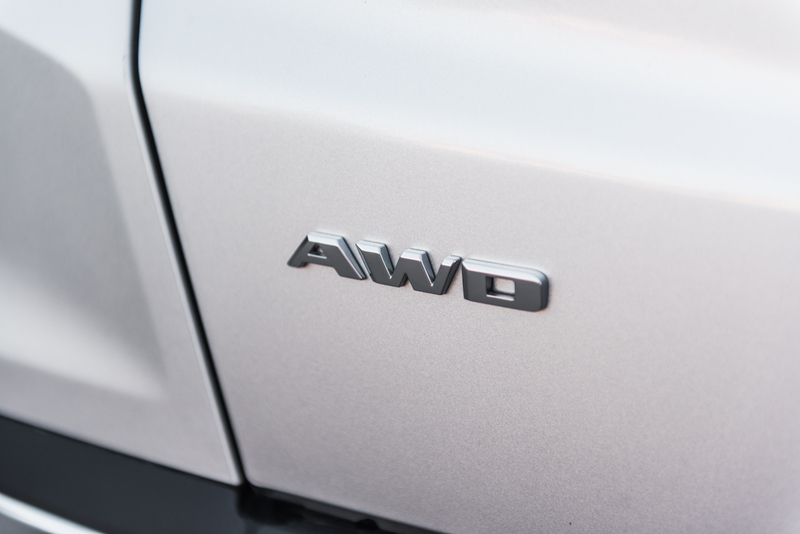 The hatch door features the AWD designation (if equipped) on the bottom left of the liftgate, along with more surface styling as it runs into the black/grey bumper cover. This cover is covered with a chrome accent spanning the width of the vehicle, and by parking sensors below it. The black/grey bumper is interrupted in the center by an integrated backup light. Rounding out the design of the rear end are two red reflectors on each side of the grey/black bumper cover. 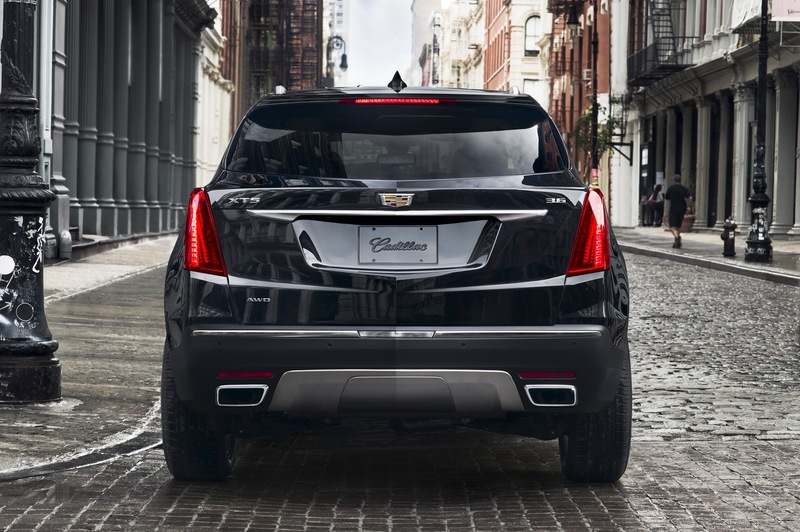 Immediately below them are integrated exhaust outlets — one on each side that are exclusive to the Platinum trim level. A metal-look skid plate spans the distance between the reflectors and tailpipes. 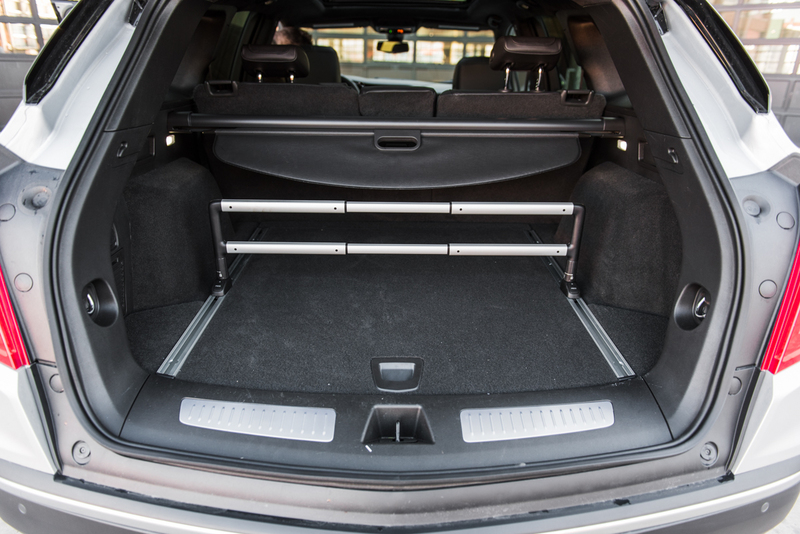 The metal-look skid plate is also exclusive to the new Platinum trim. 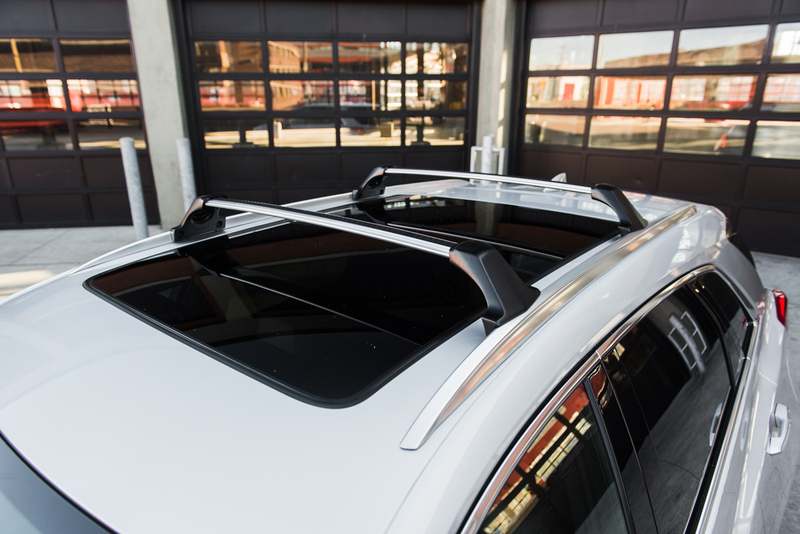 The XT5’s roof features two integrated roof rails for roof rack attachments as well as a stylized fin at the rear end of the roof, which houses the vehicle’s various communications antennae. 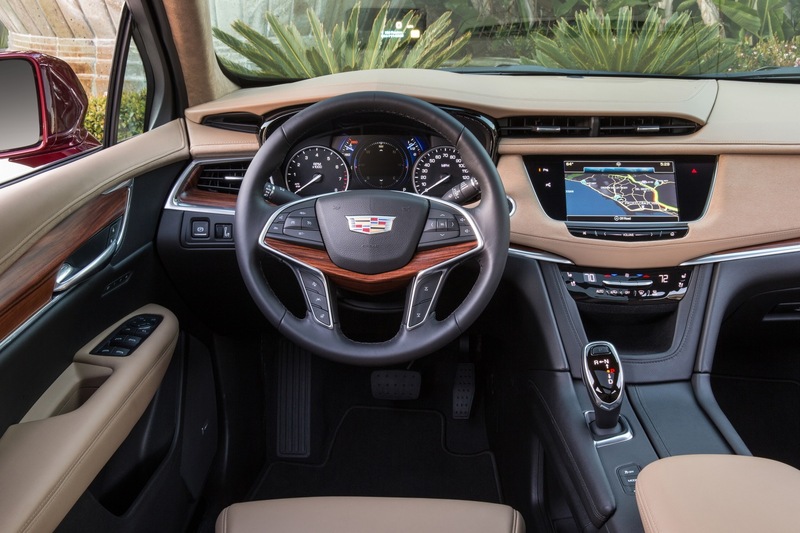 Following the unveiling of the all-new 2017 Cadillac XT5, we have yet to hear a single negative comment about the crossover’s interior. 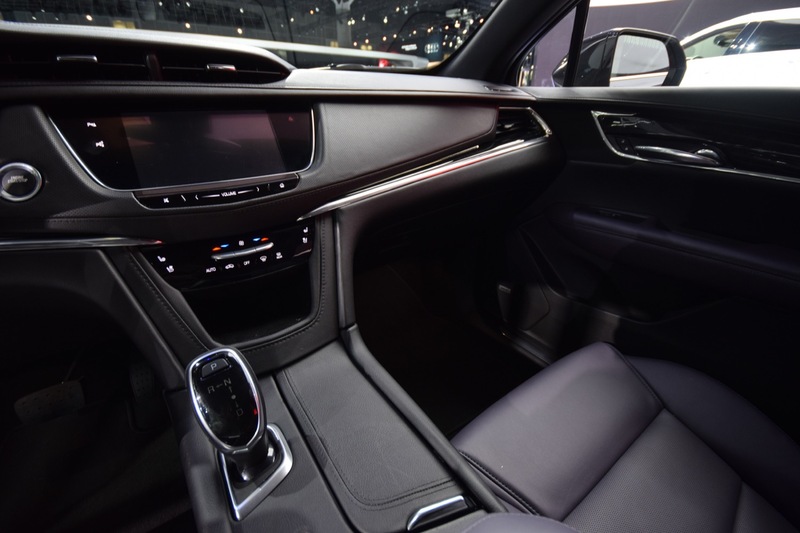 To the contrary, the feedback has been quite positive, and the cabin seems to be just the right amount of attractive design blended with high quality materials. 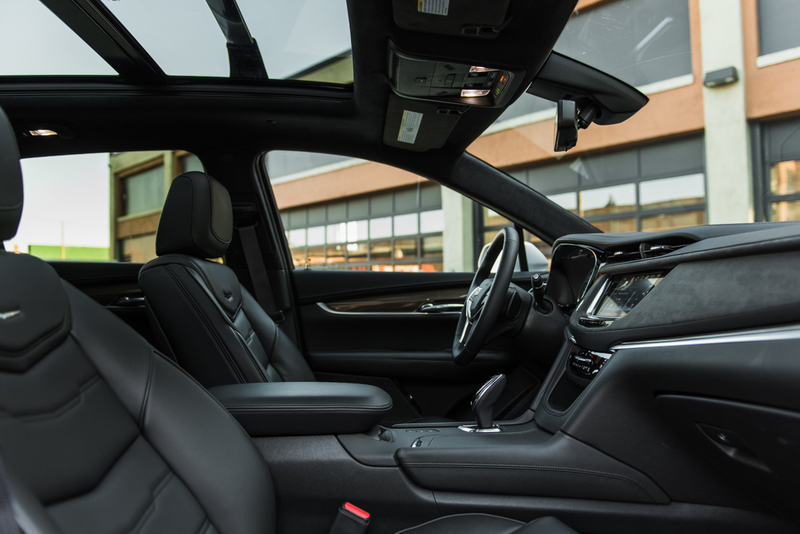 Let’s take a look at the various elements that make the XT5 interior so great. 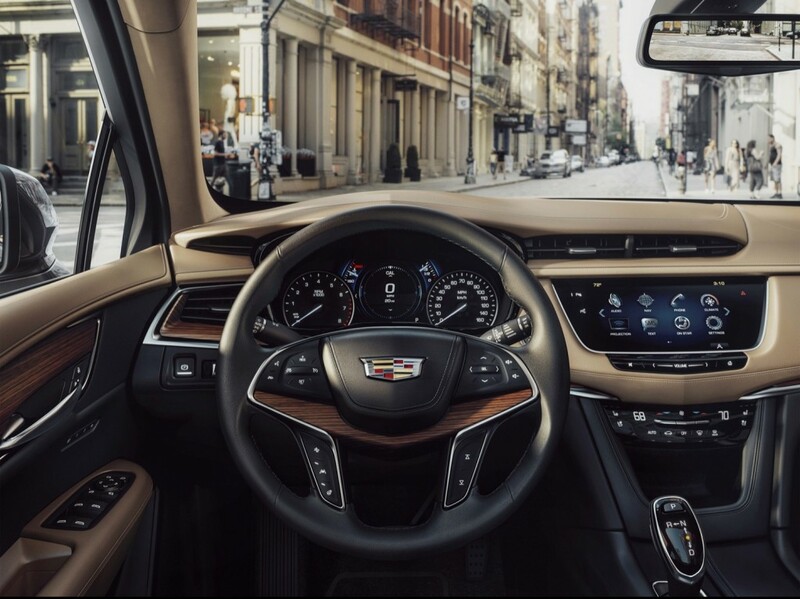 Cadillac says that the XT5’s cabin “brings a new level of sophistication to showcase Cadillac’s evolving design language”, which was most recently presented on the upcoming CT6 Sedan. 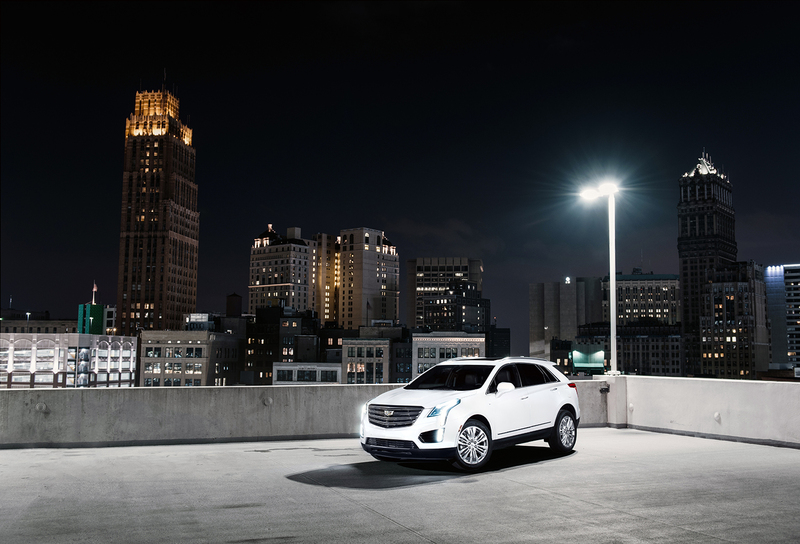 The design is “based on a philosophy of clean, modern elegance and craftsmanship”, according to Cadillac. 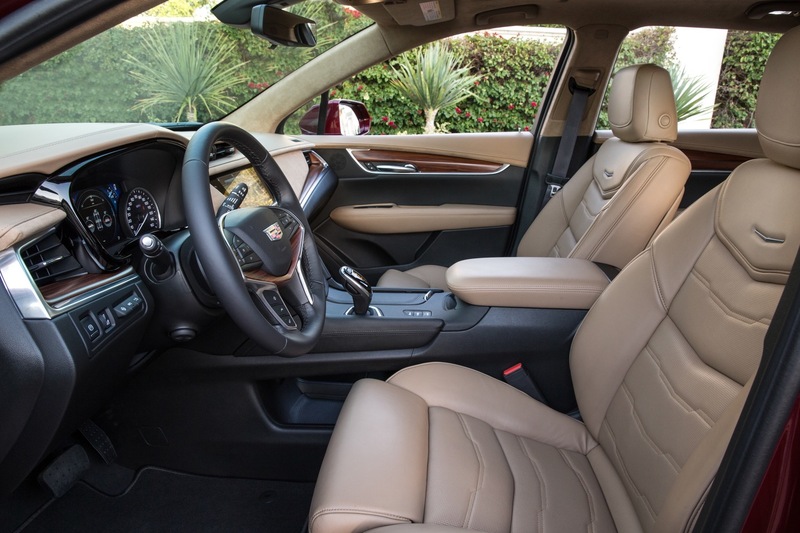 Interior surfaces inside the XT5 are wider and more horizontal in orientation compared to the SRX that it replaces. 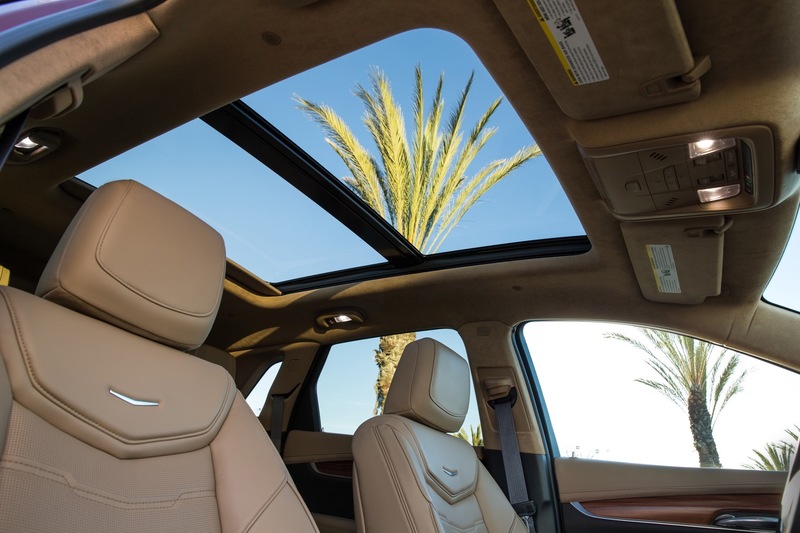 Cadillac says that the new horizontal surface orientation emphasizes efficient use of space. 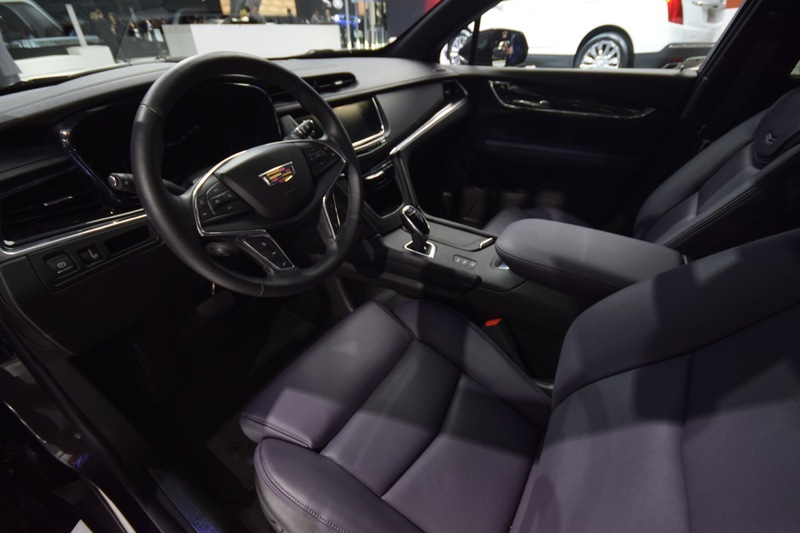 Like all Cadillac models, the cabin is assembled with cut-and-sewn wrapped panels compared to molded surfaces typically used on mainstream vehicles. 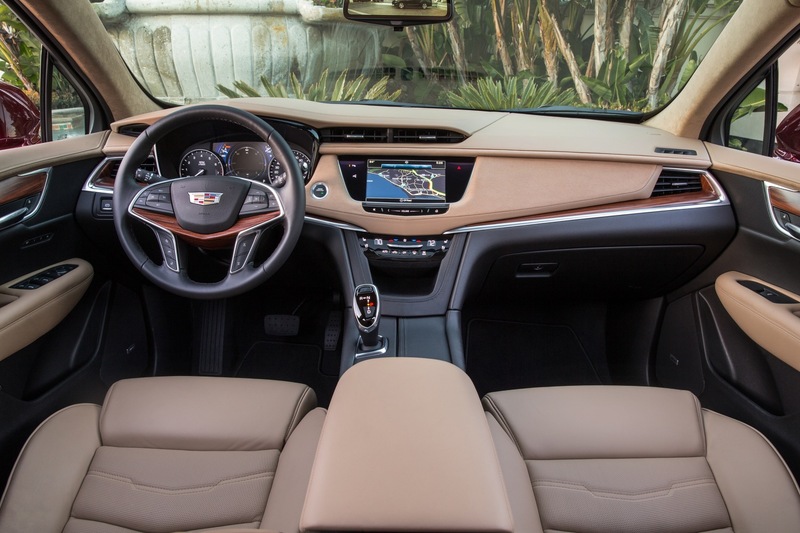 The XT5 offers five interior color and trim choices. Decorative trim options range from carbon fiber to two types of aluminum and three types of genuine wood. Notably, the pillars and headliner appear to be the same color as the color of the dashboard, rather than a common gray color of the SRX. 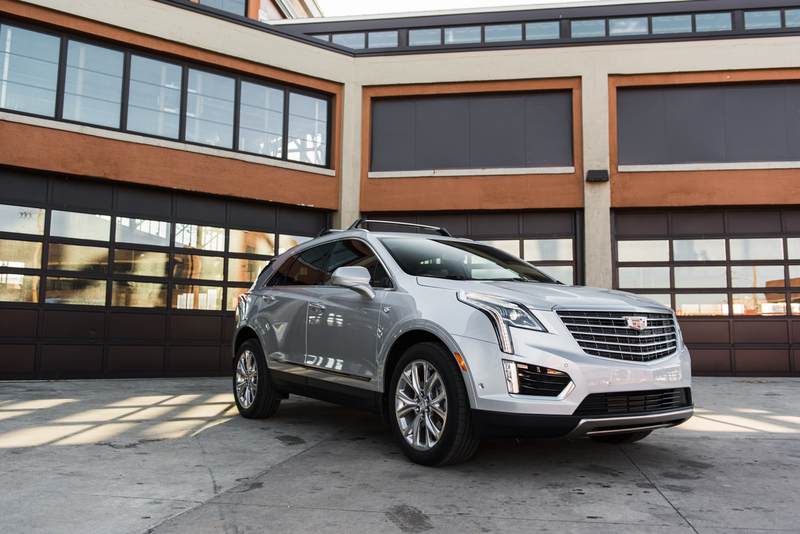 The 2017 XT5 introduces Electronic Precision Shift – the first electronically-controlled transmission shifter in a Cadillac. 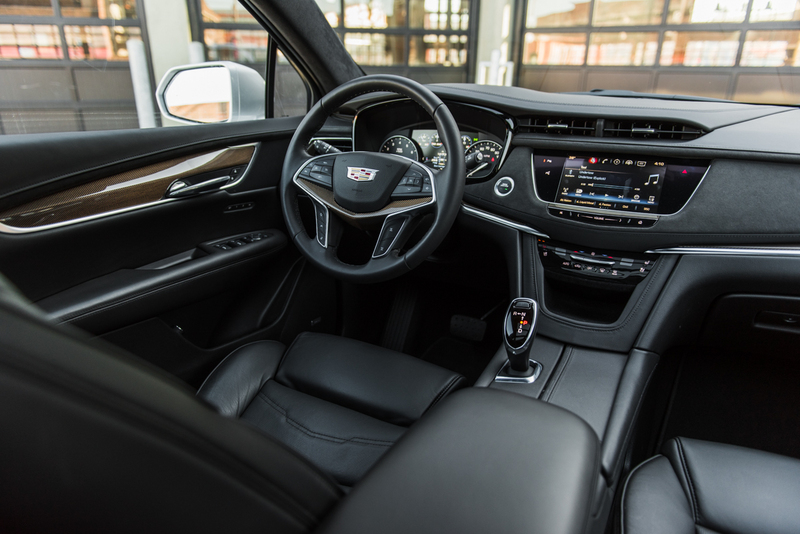 In the Cadillac XT5, the “further use of cabin space” translates to the “floating” center console, defined by a storage space beneath the shifter that isn’t only utilitarian, but also gives the interior a unique design element. 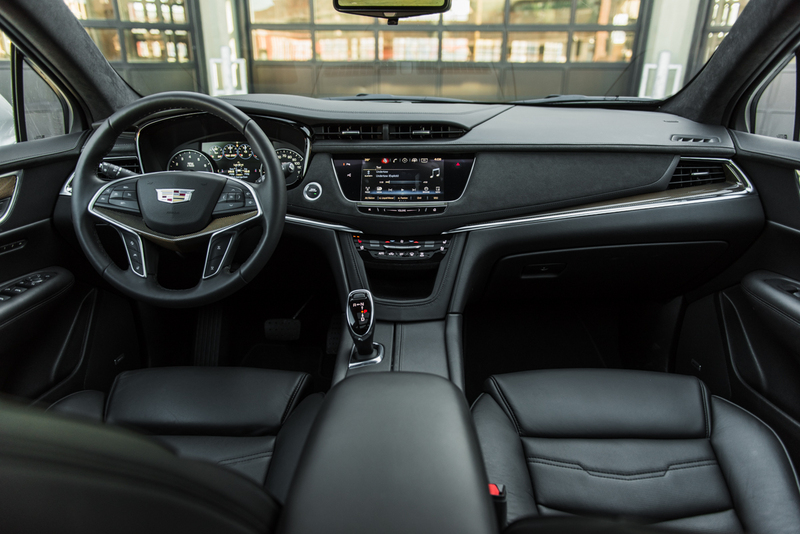 Electronic Precision Shift enables further use of cabin space, such as the floating center console (pictured) in the 2017 Cadillac XT5. 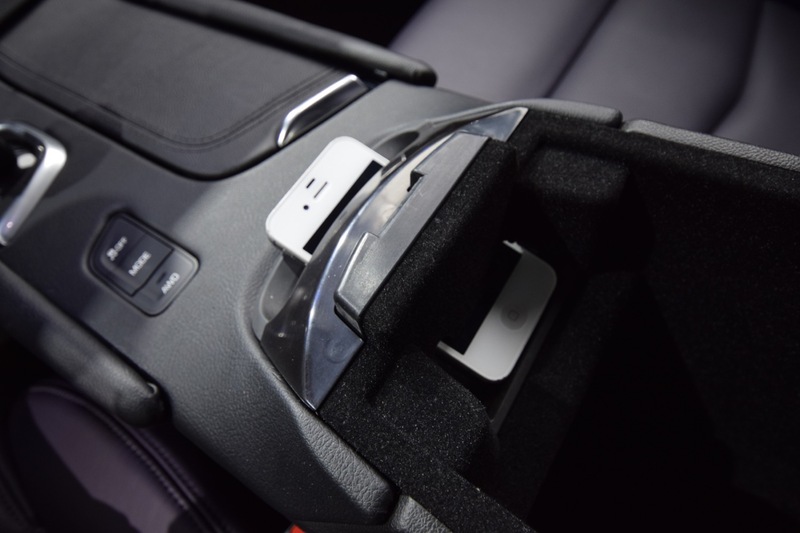 The floating center console creates a generous storage space beneath the shifter. 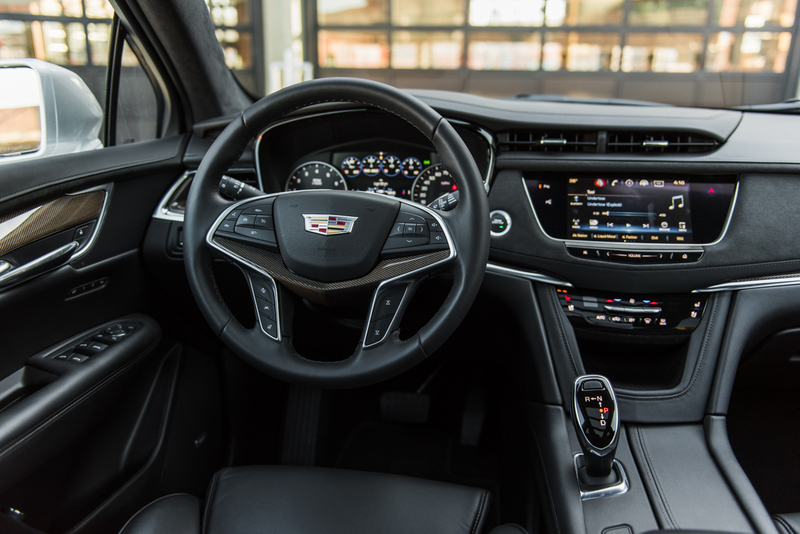 As for the shifter, it’s shorter and of a different, more modern shape compared to traditional gear selectors found in today’s Cadillac vehicles such as the SRX that the new XT5 replaces. 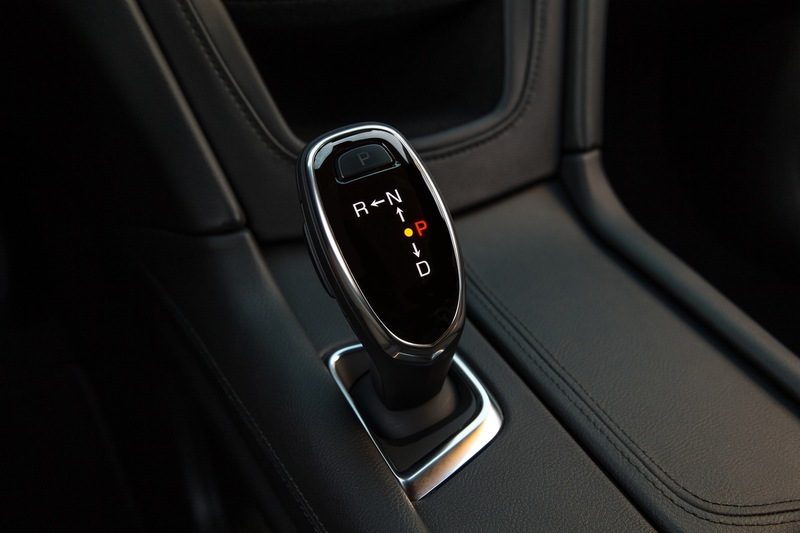 But the Electronic Precision Shift shifter isn’t so much a shifter as it is a multi-directional joystick of sorts. 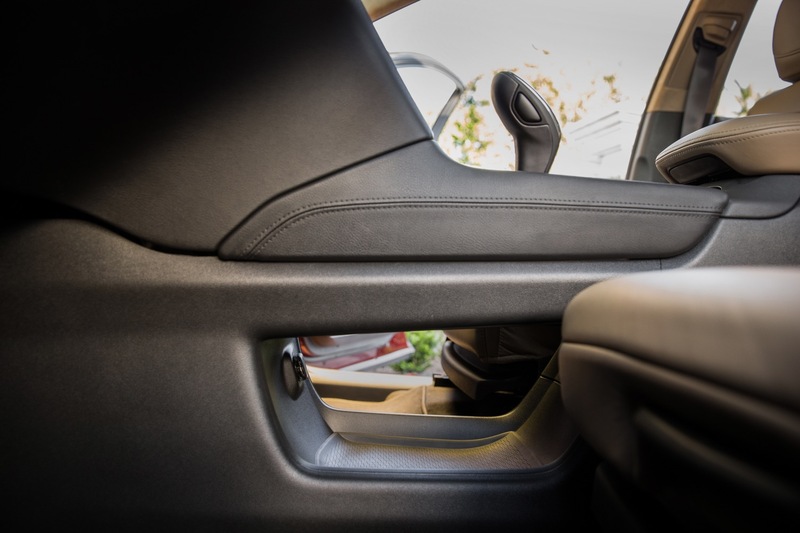 The center console “floats” above a storage space below it, which will surely be appreciated by those looking to store a handbag or other items. 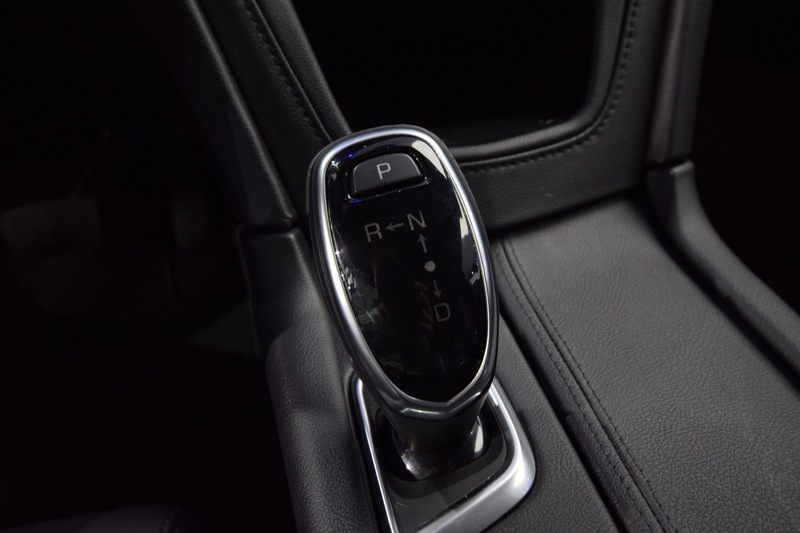 There is also an open storage space just ahead of the new gear selector (below the HVAC control). 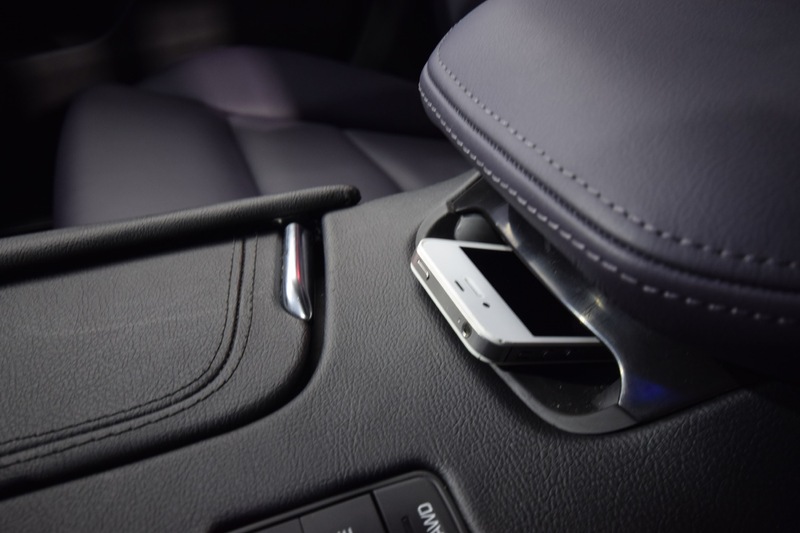 The space doubles as a wireless smartphone charger (See “CUE” section below). 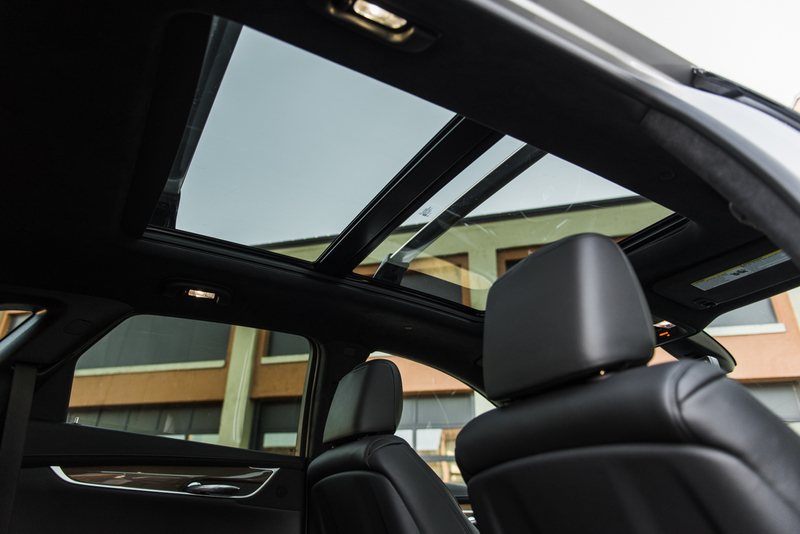 An oversized moonroof is available on the XT5, creating a sense of spaciousness in the cabin while also offering both front- and rear-seat passengers the opportunity to enjoy the sky above (whenever it’s safe to do so, of course). 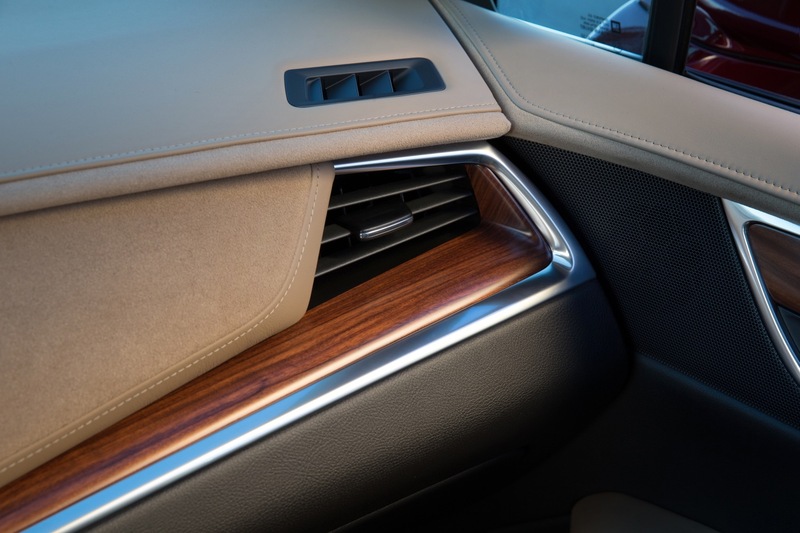 As seen in the third-generation CTS, the 2017 XT5 features a power-sliding cupholder cover. 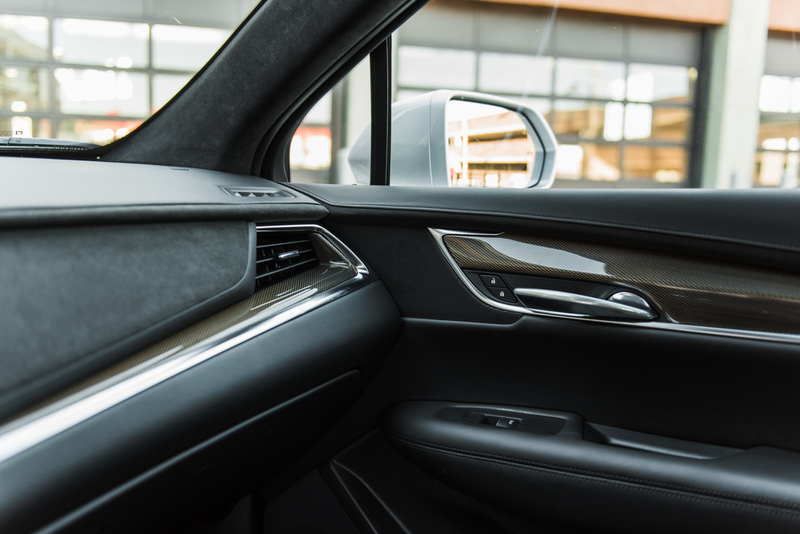 Though not a groundbreaking feature, it does represents a unique detail that aids in creating a high-tech ambience. 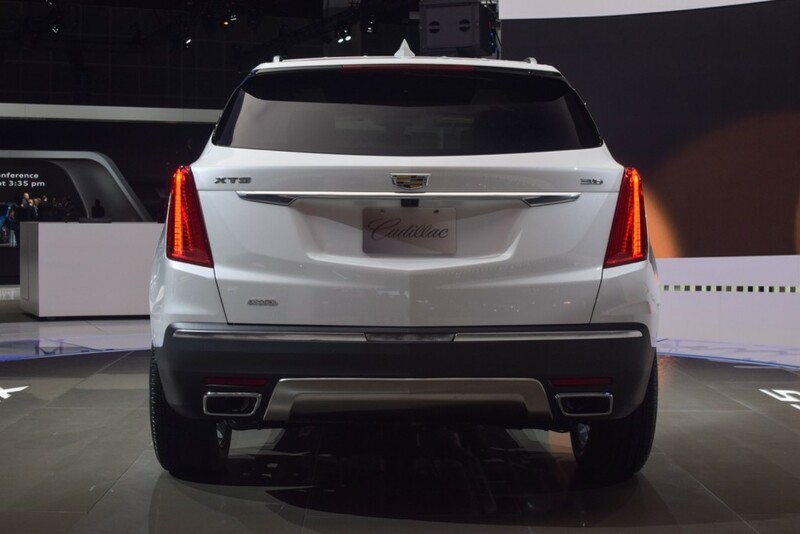 From everything we have seen thus far, the A-pillars of the new XT5 appear to be much thinner compared to those of the SRX it replaces. 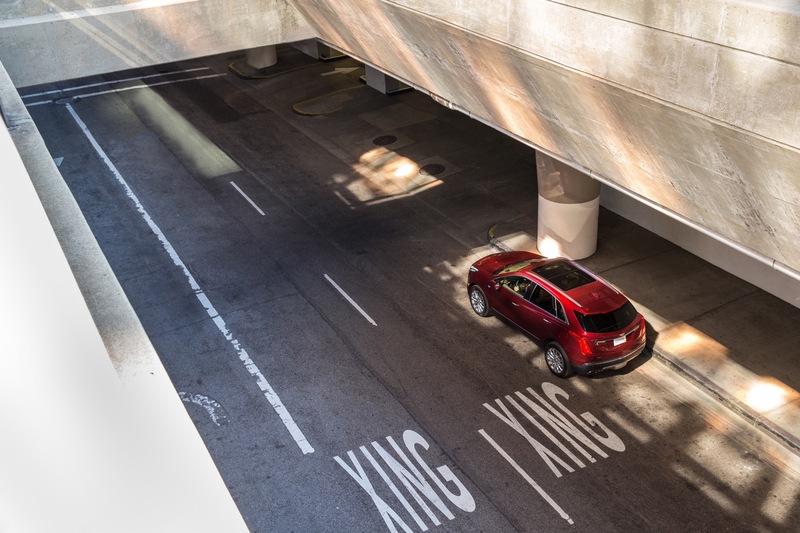 Likely made possible by the use of high-strength and ultra high-strength steel, the thinner A-pillars is very much welcome since the second-generation SRX had some of the thickest A-pillars imaginable. 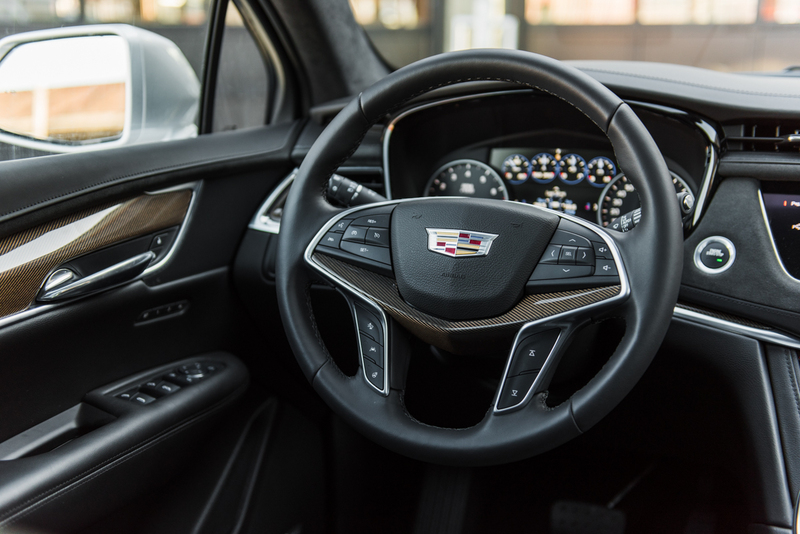 The 2017 XT5 steering wheel is the same as the all-new wheel design introduced by the 2016 CT6 sedan. 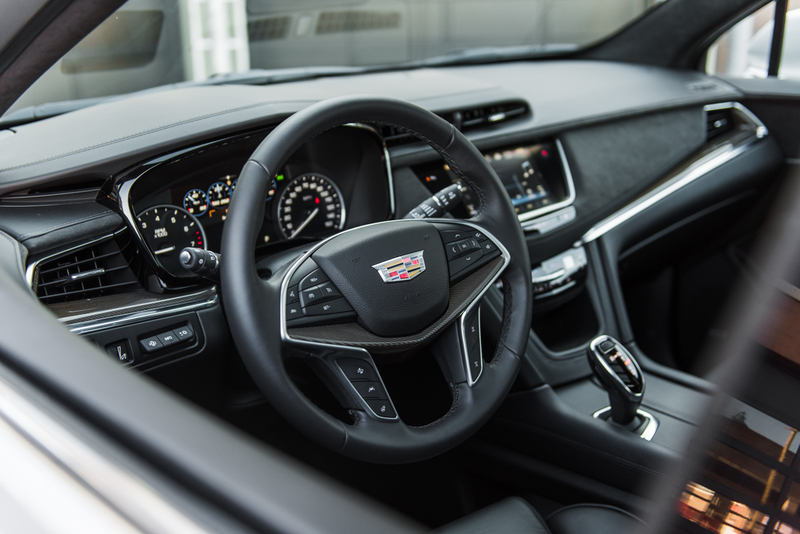 With the Cadillac Crest prominently in the center, it features healthy grip support and an amalgamation of on-wheel buttons, which are re-arranged compared to the steering wheels of current Cadillac. Specifically, the lower vertical areas receive a new set of buttons that previously resided on the left and right horizontal sections. 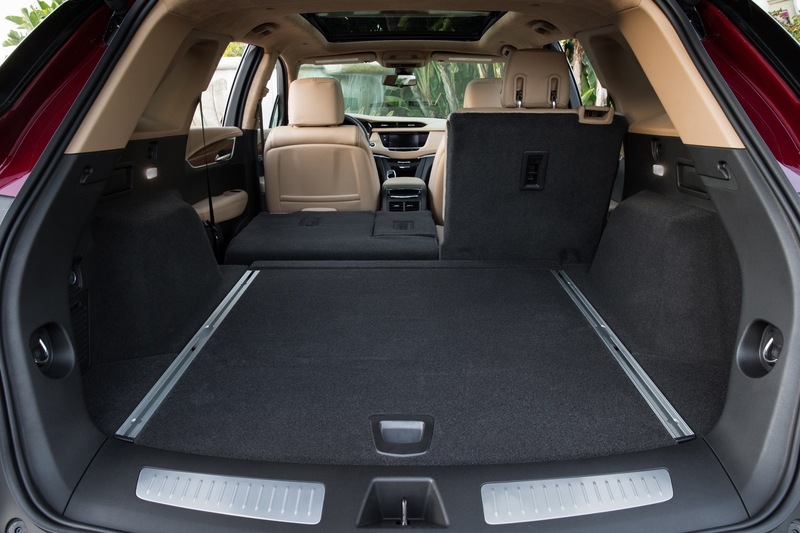 The 2016 XT5’s new C1XX platform enables 3.2 inches (8.1 cm) more rear-seat legroom over the outgoing SRX. 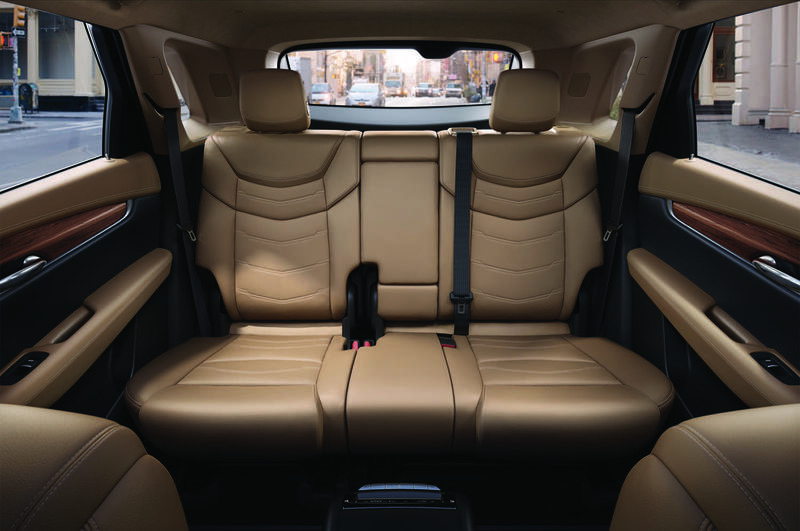 Added comfort for rear-seat passengers is furnished by the crossover’s rear seats, which recline and slide fore and aft. 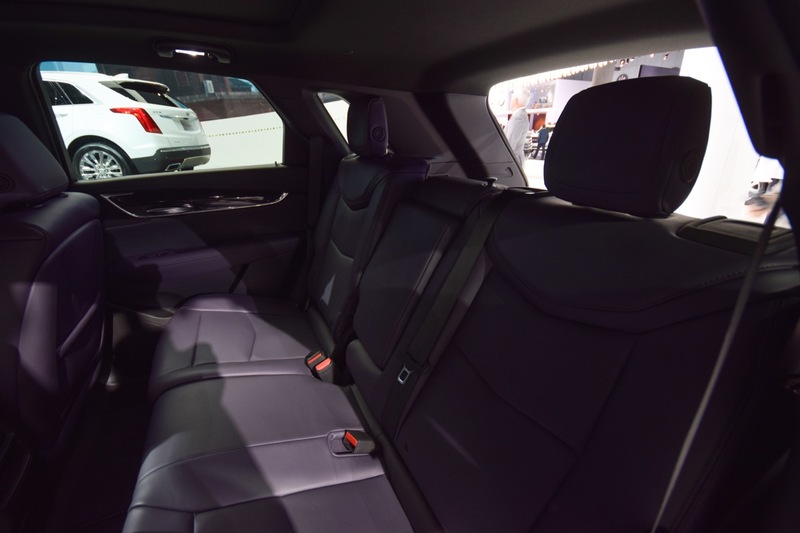 By comparison, the rear seats of the SRX were capable of reclining but not sliding back and forth. 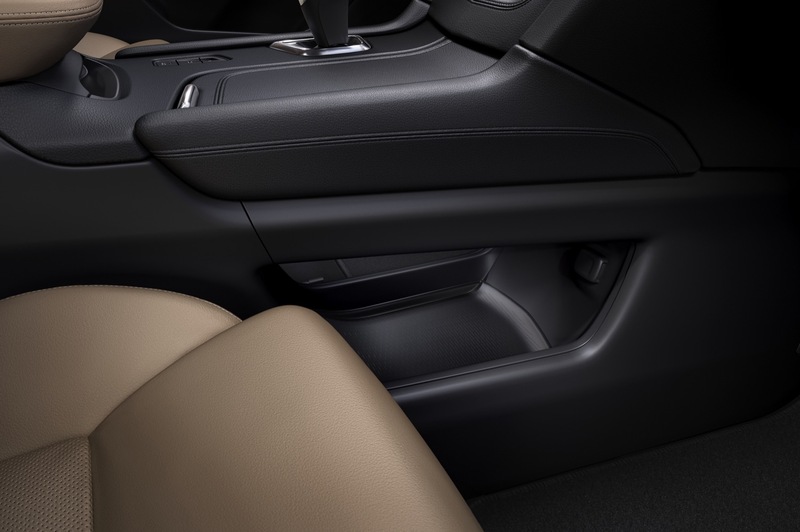 What’s more, the rear end of the driver and passenger center console features two A/C vents for the rear passengers. Above the A/C vents is a new panel with HVAC and audio controls. 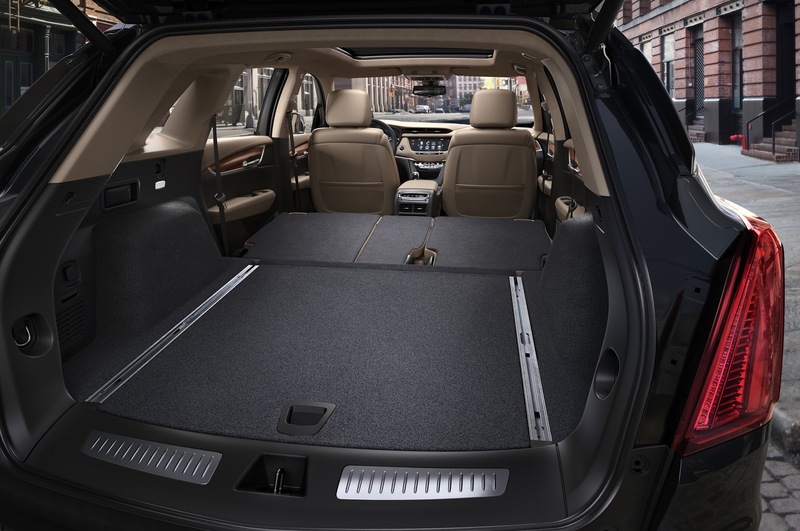 The details of the 2017 Cadillac XT5 cabin also extend to the very back thanks to a useful and attractive (yes, attractive) cargo area. 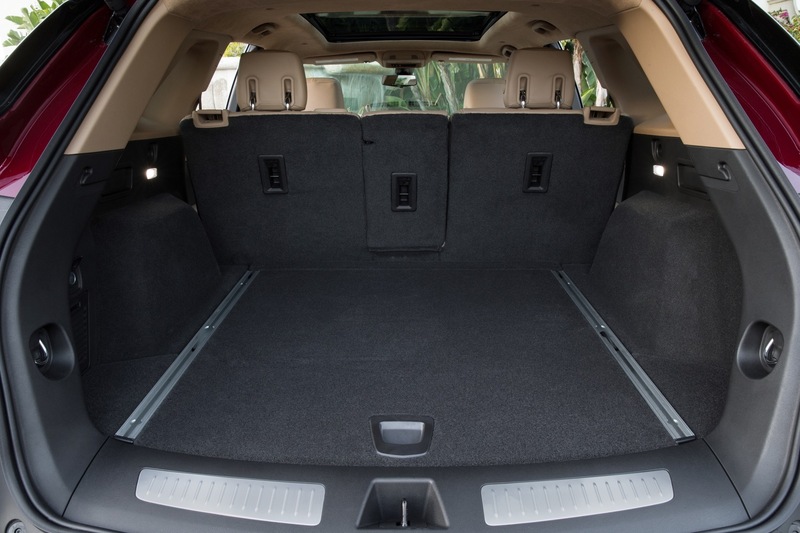 The EPA trunk volume is rated at 30 cubic feet (849 liters) behind the second row. The rear seats fold at a 60/40 (left/right) split, increasing the crossover’s hauling capacity to 63 cubic feet (1,784 liters). The rear liftgate can be opened via hands-free operation, with gesture control beneath the rear bumper. 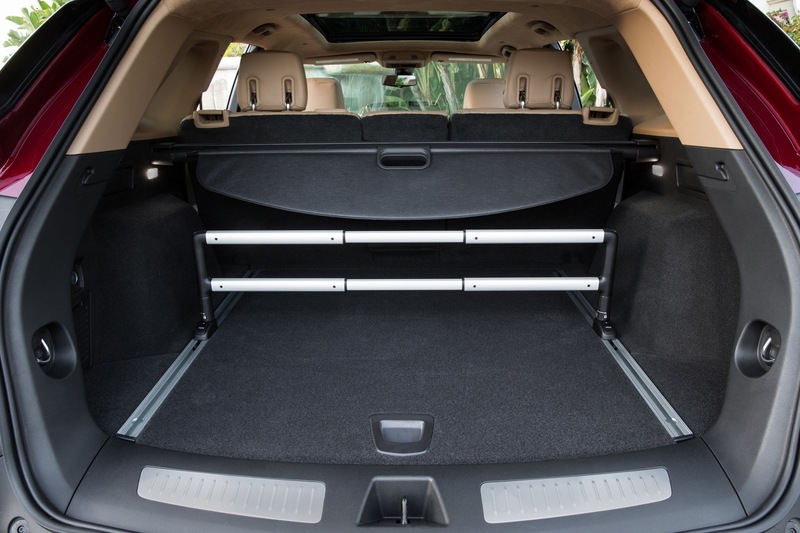 The driver simply walks up to the vehicle with the key fob on his or her person, waves a foot slightly under the bumper, and the liftgate opens. 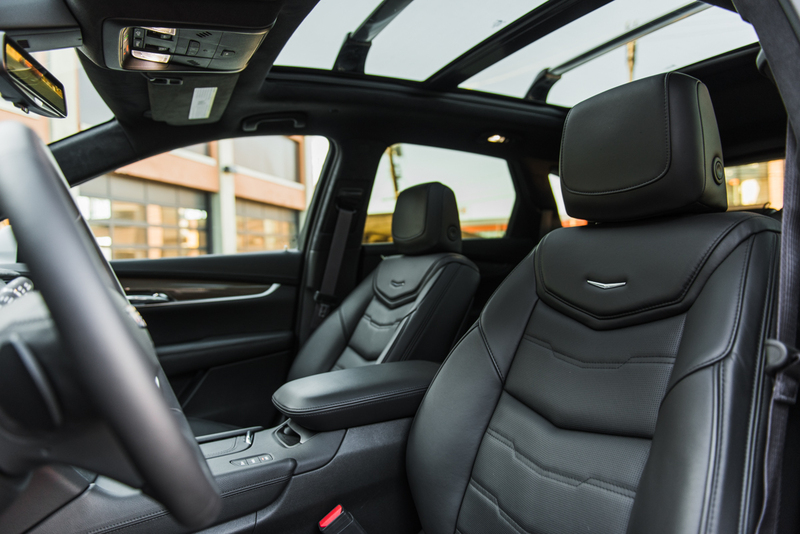 The feature is standard on the range-topping Platinum trim level. 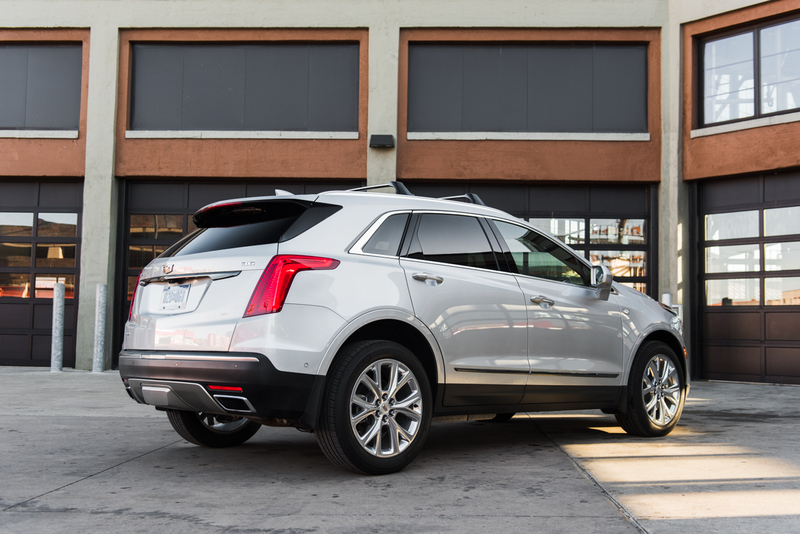 Upon opening the liftgate, customers are greeted with two brushed aluminum horizontal accents and two metal tracks that run longitudinally along the cargo area. The tracks are part of a new rail-based cargo management system. The outgoing SRX had a similar system called U-Rail. 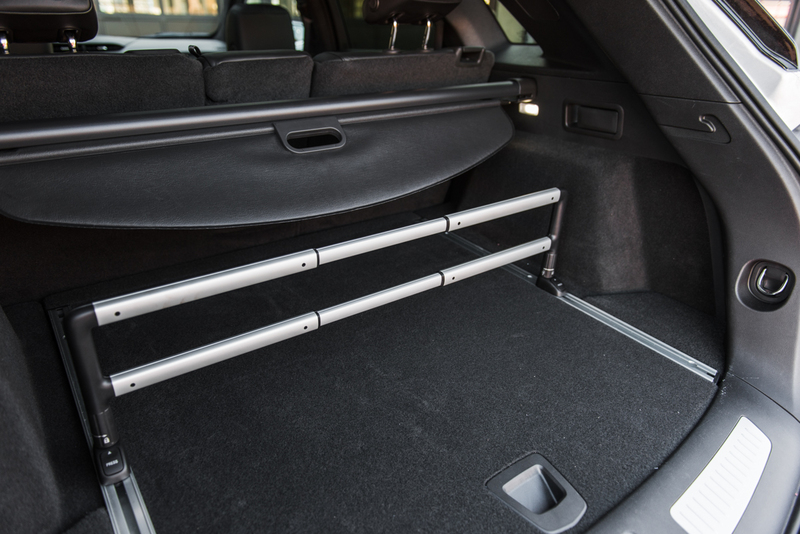 To us, it’s these metal accents that are responsible for the “attractive” part of the cargo space. 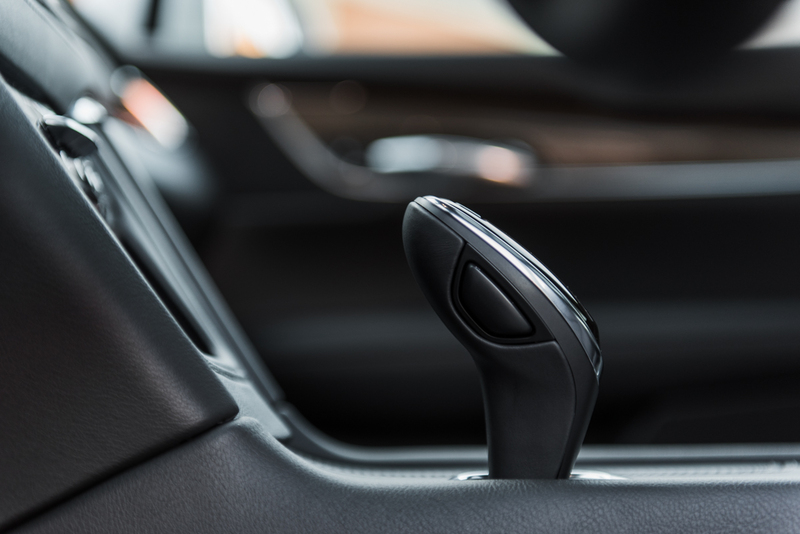 A 12-volt outlet can be found on the driver’s side wall. 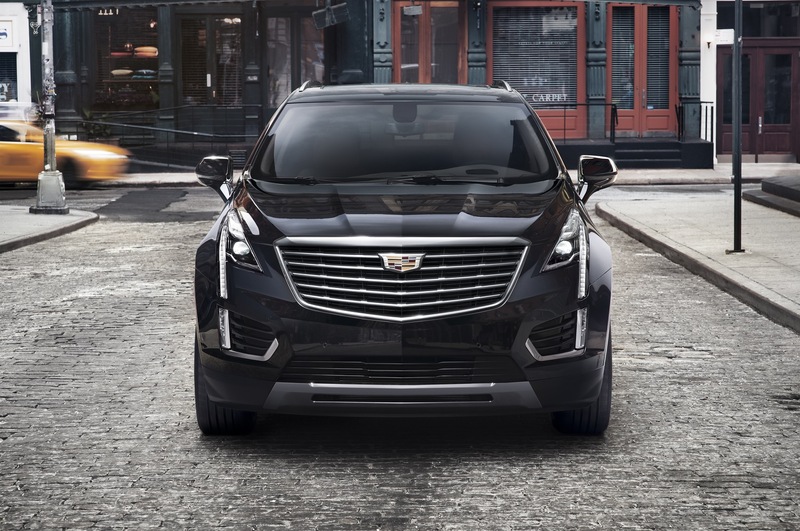 The 2017 Cadillac XT5 is offered in seven exterior colors and five interior combinations. Each color is an extra-cost option with the exception of Radiant Silver Metallic, which is included in the price of the vehicle. 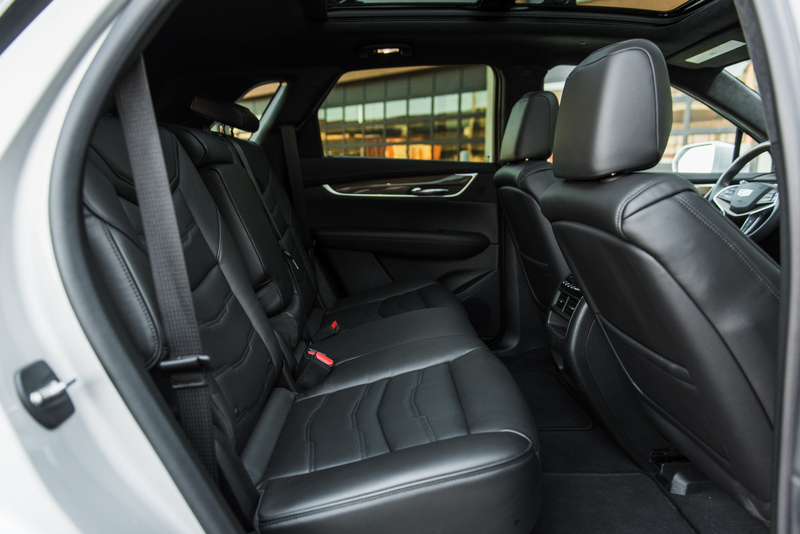 Regardless of trim level, the 2017 XT5 offers a single seat — a front bucket seat (AR9 production code). 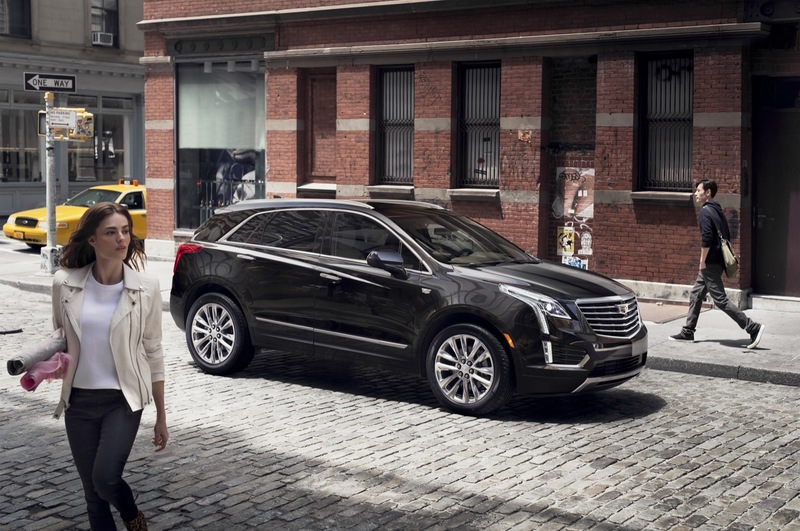 The XT5 is packed full of technology, leading some to describe it as a computer on wheels. 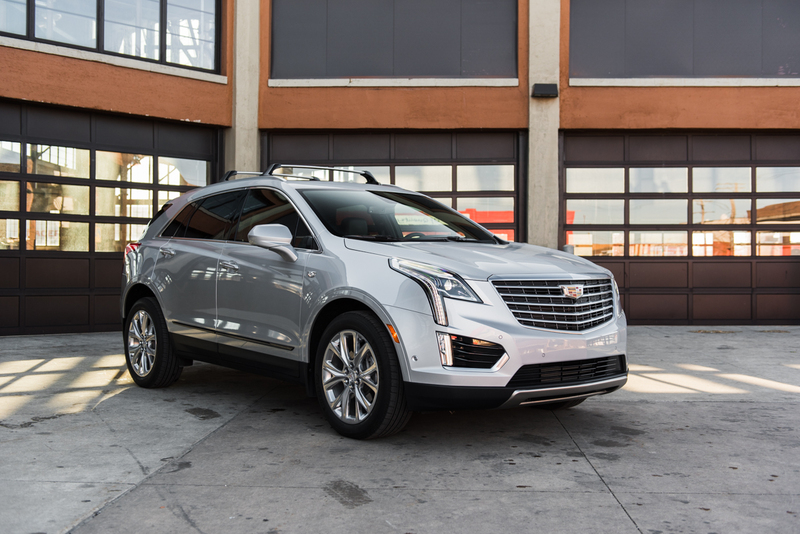 The CUE infotainment system is upgraded for the XT5 with a faster and more powerful processor that provides “best-ever response and accuracy”. 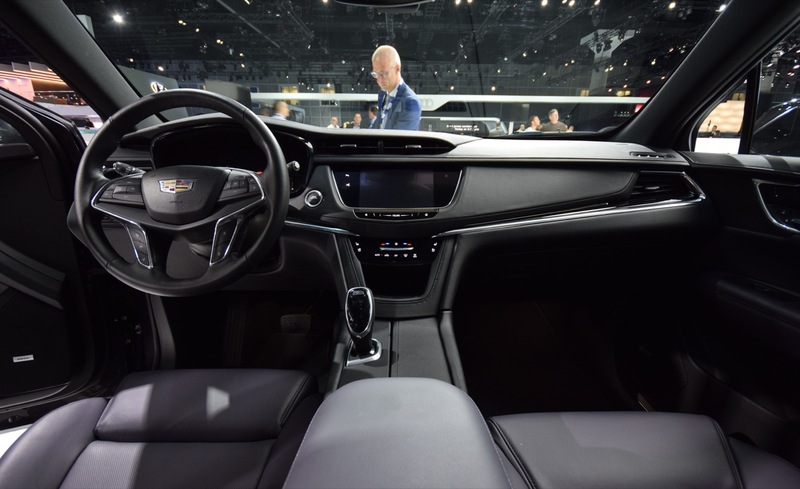 The screen appears to be an eight-inch unit as seen on other 2016 (and prior) model year Cadillac models, but unlike those models, it does not appear to be capable of opening to reveal a storage space. 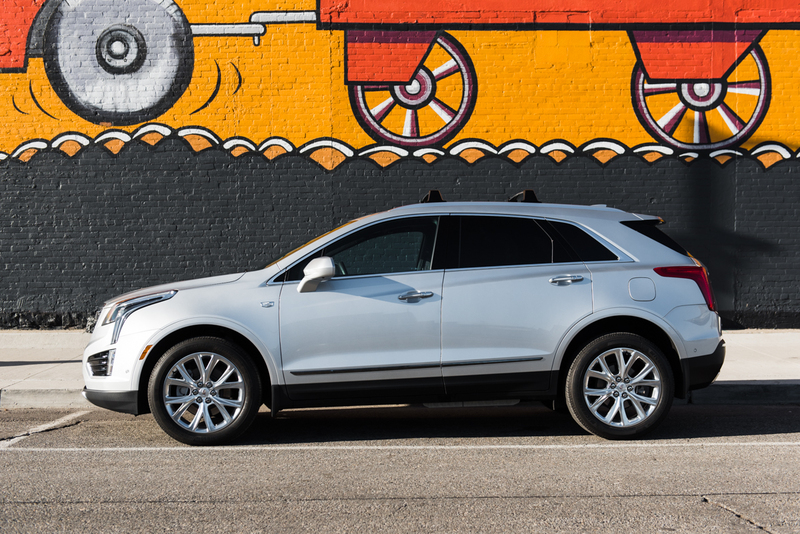 The volume control remains a capacitive touch slider in the 2017 XT5, while tuning is accomplished on the touch screen; neither the volume nor tuning features have redundant physical controls. 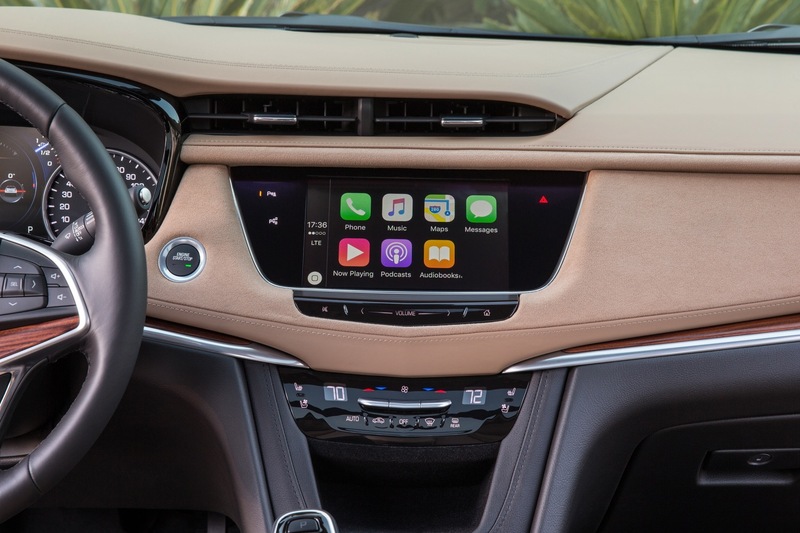 The updated CUE system also features Apple CarPlay and Android Auto smartphone integration as standard features. 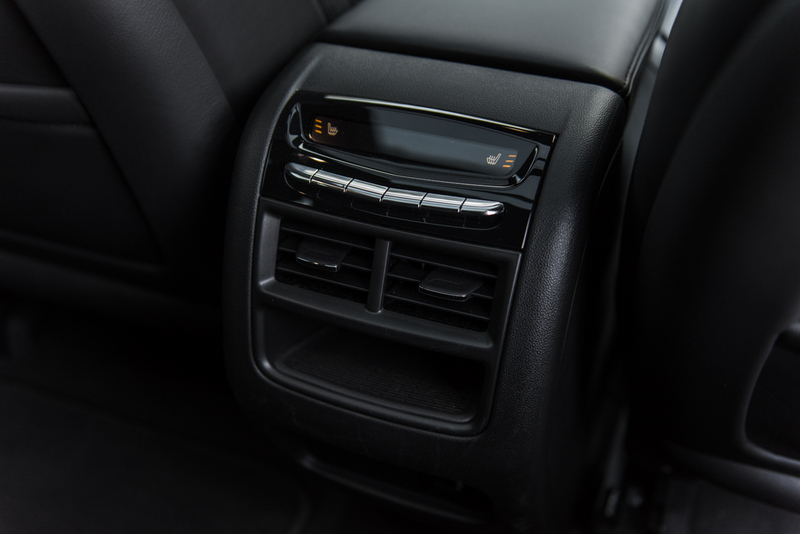 The XT5 also features an integrated wireless charger for mobile devices via a slot designed into the center console. 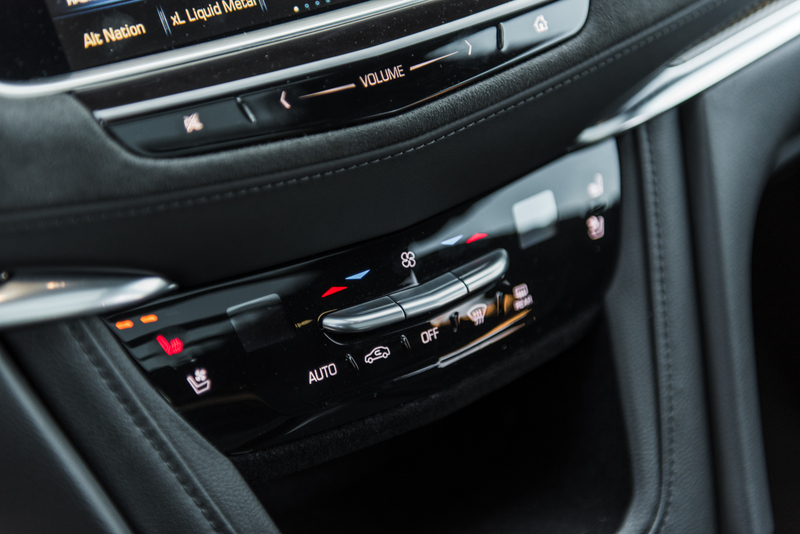 However, one notable change is the addition of physical controls for the vehicle’s HVAC (heating, ventilation, and air conditioning) system via three switches, one to adjust the driver’s-side temperature, another to adjust the passenger-side temperature, and the third to adjust the fan speed. 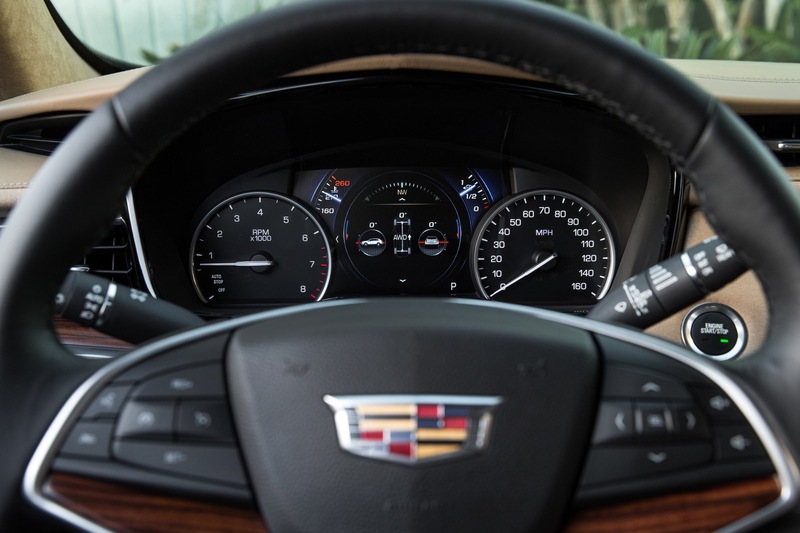 Given Cadillac’s past ineptitude to design an attractive instrument cluster, we’re happy to say that the 2017 XT5 features an instrument cluster that represents a huge improvement over any other modern Cadillac we’ve seen so far. 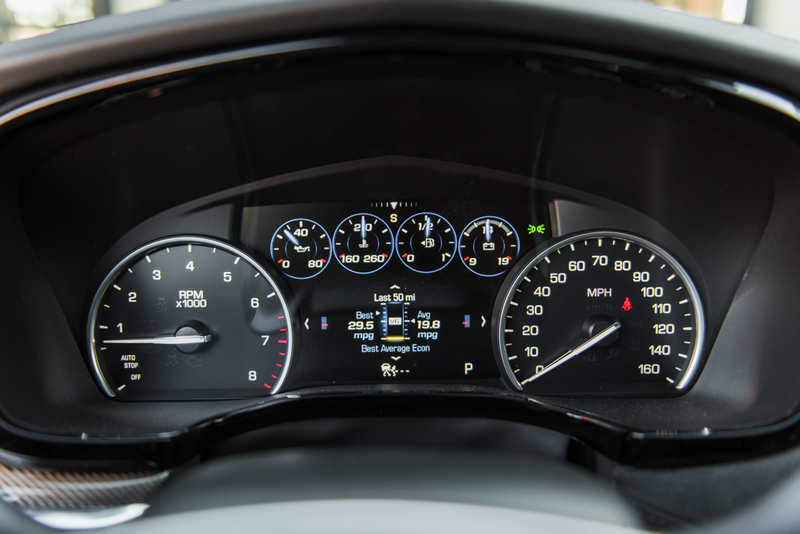 The cluster features two rather attractive analog gauges on the far left (the tachometer) and right (the speedometer). A large digital display resides in the middle to display everything else. 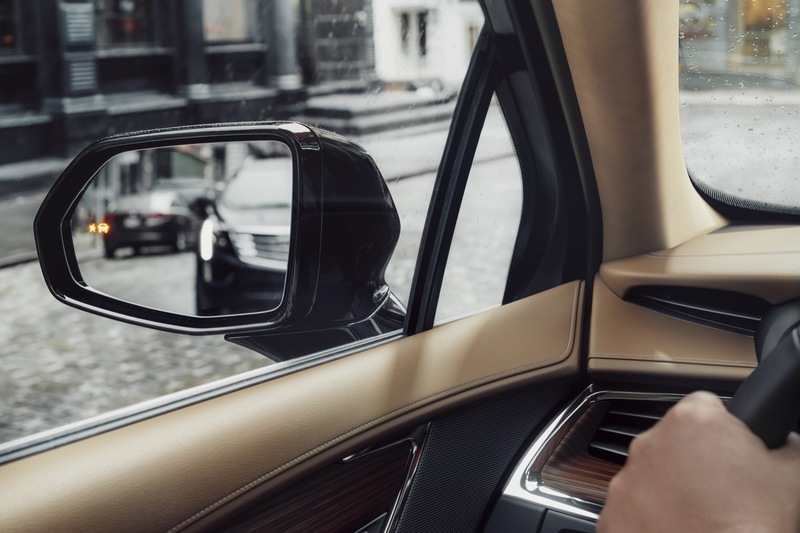 Cadillac’s patented Rear Camera Mirror system, introduced on the Cadillac CT6, makes its way to the XT5. 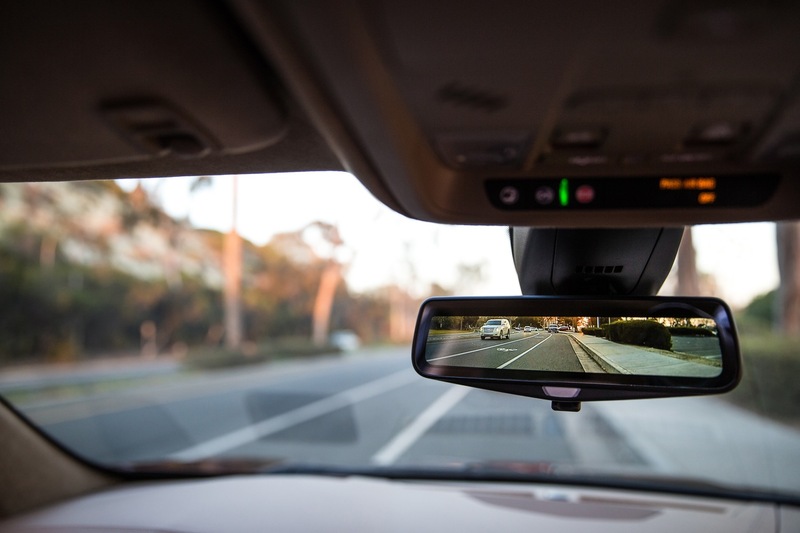 The system works via a high dynamic range camera, which records wide images behind the car. 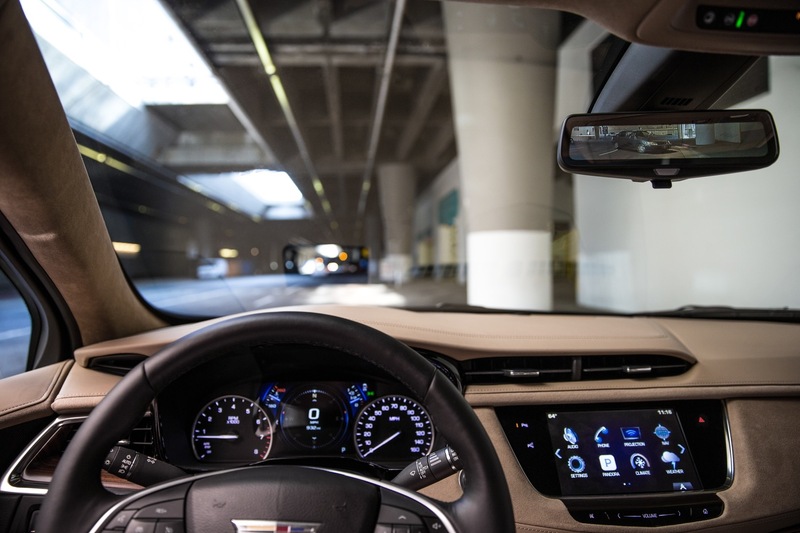 It then streams the image to video processing software and projects the unobstructed view to a Liquid Crystal Display (LCD) applied over the conventional inside rearview mirror. 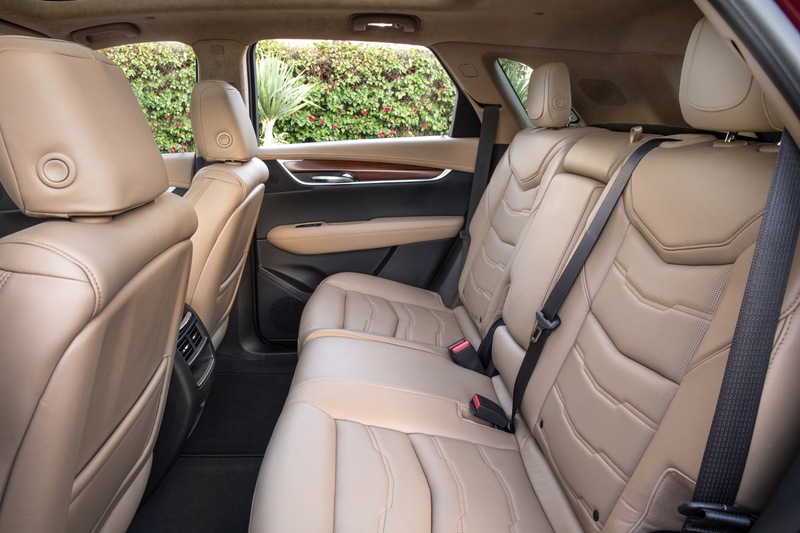 The result is the removal of such obstacles as the roof, rear pillars and rear seat passengers, thereby enhancing the driver’s rear vision by 300 percent, and delivering a better view of what’s behind the vehicle. 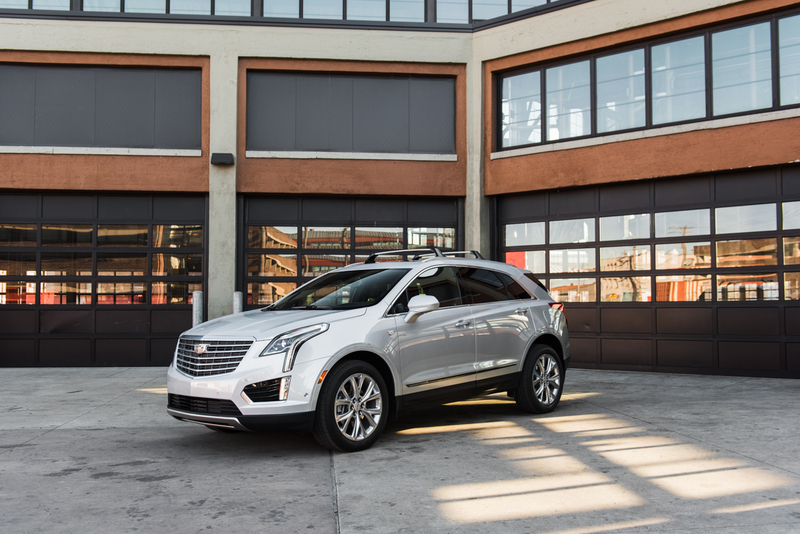 Another new notable technology of the 2017 XT5 is the reconfigurable Head-Up Display (HUD), a feature that is unavailable on the second-gen SRX. 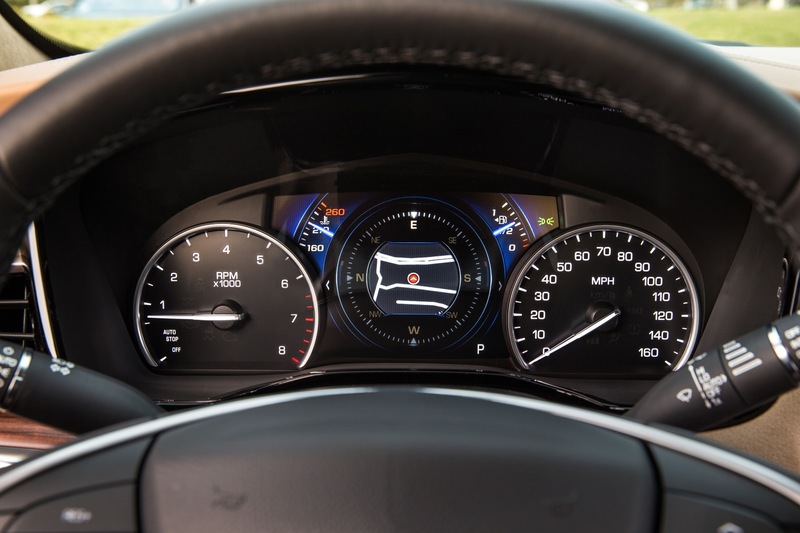 The HUD enables the driver to view vital vehicle information such as vehicle speed, engine RPM, speed limit and certain infotainment functions, all without breaking eye contact with the road ahead. 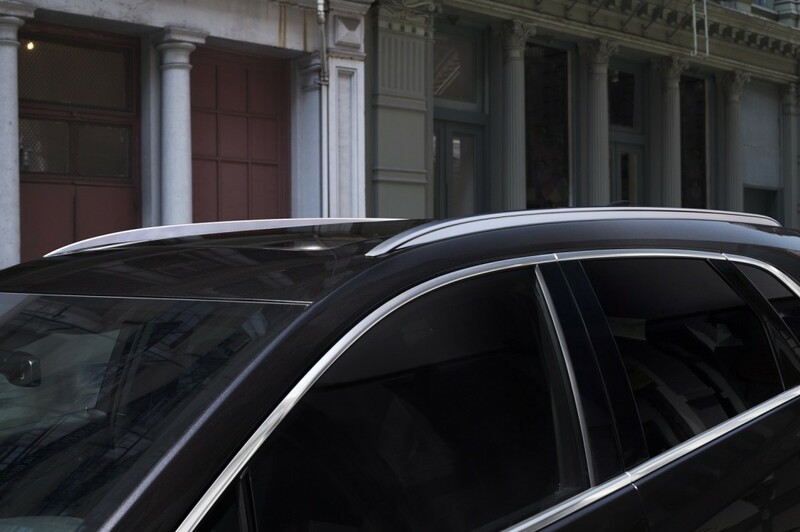 The technology increases safety and convenience while also decreasing driver fatigue. 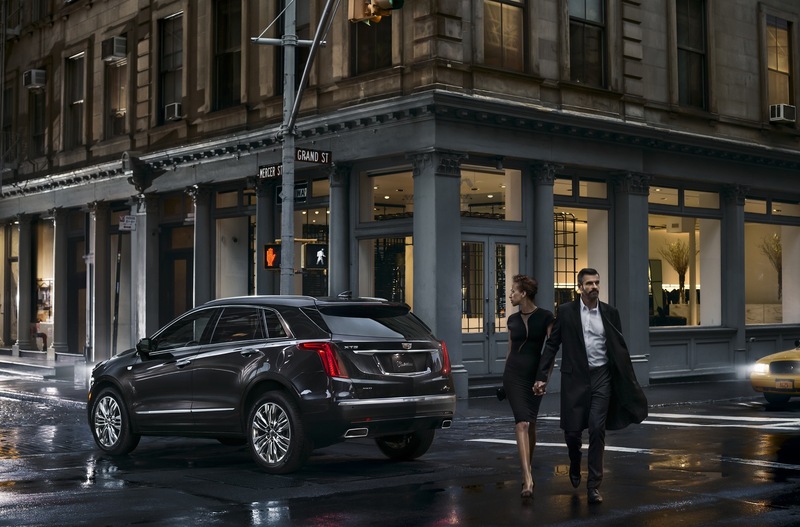 Like all Cadillac models in 2016, XT5 features 4G wireless connectivity, with a standard integrated Wi-Fi hotspot. 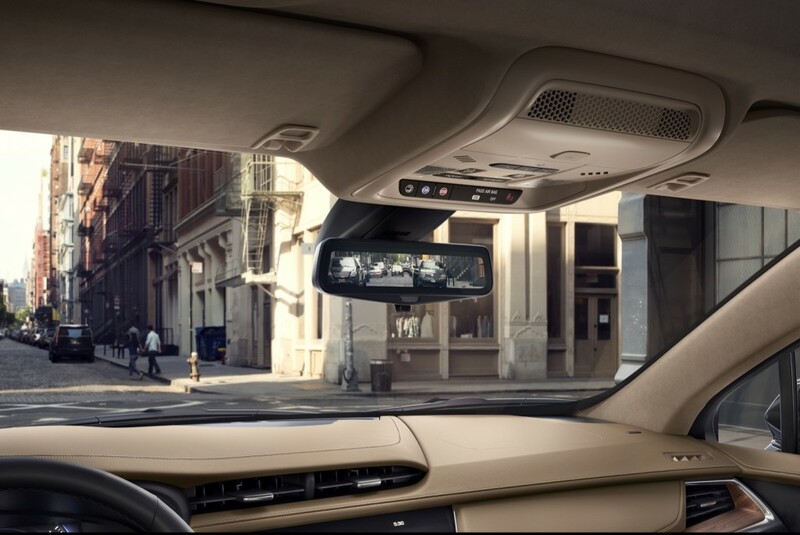 A Surround Vision feature enables a “bird’s eye” view of the perimeter around the car to assist in parking. 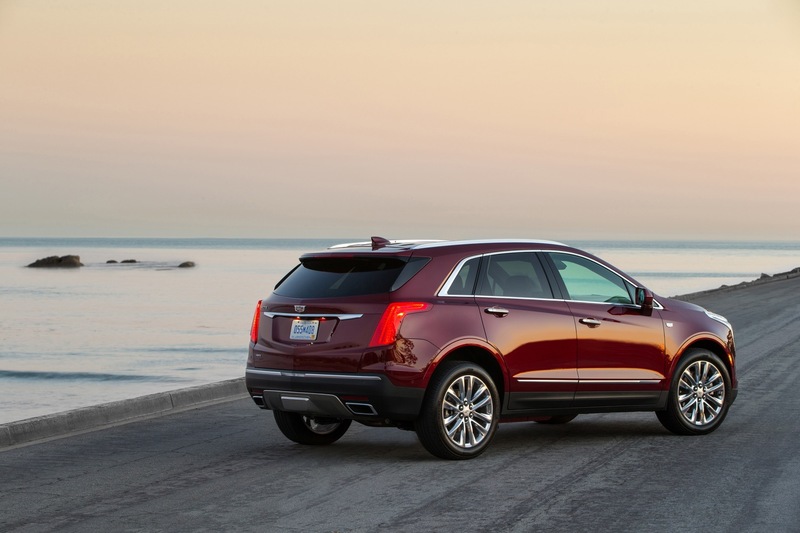 Depending on the market, the 2017 Cadillac XT5 offers two new engine choices and an all-new 8-speed automatic transmission. 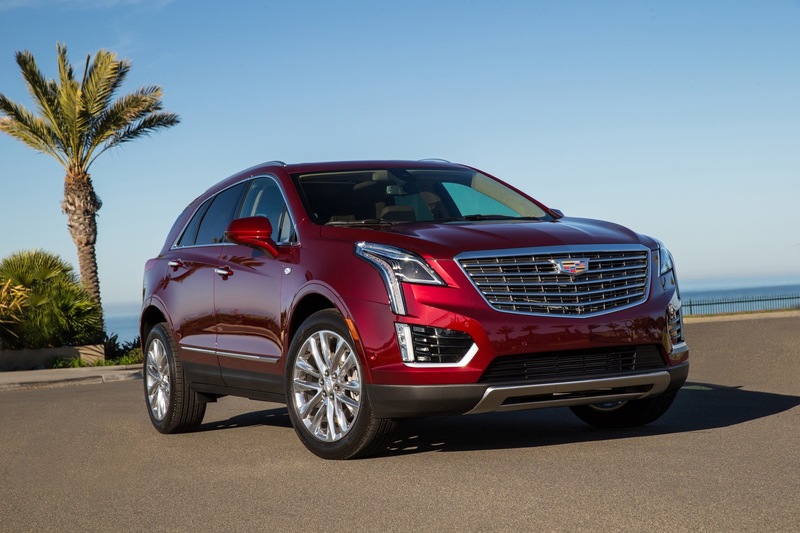 The powertrain shares nothing with the Cadillac SRX that the XT5 replaces. 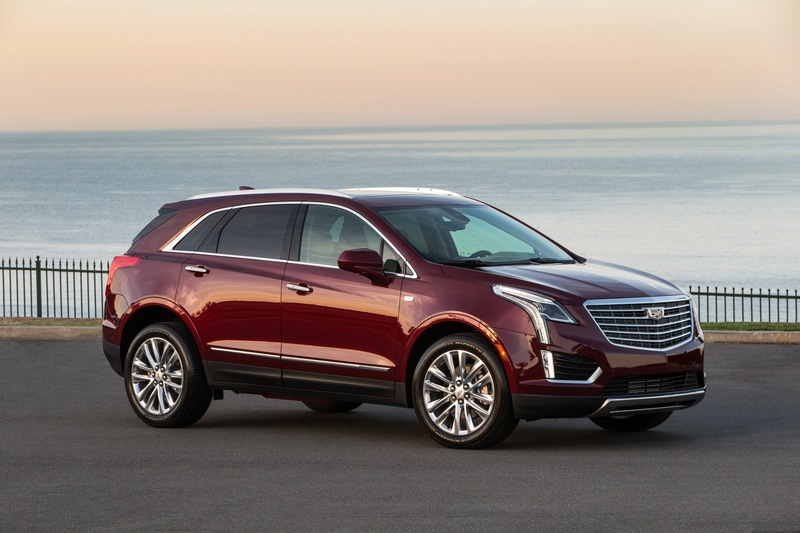 In North America, the 2017 Cadillac XT5 is powered by GM’s all-new 3.6-liter V6 engine. 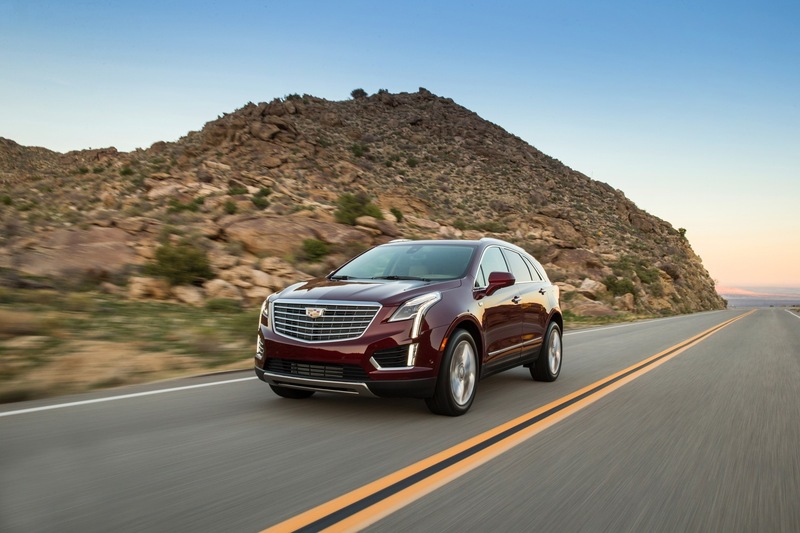 The motor carries GM production code LGX and earlier this year debuted on the 2016 Cadillac ATS and 2016 Cadillac CTS sport sedans; it is also featured on the 2016 Cadillac CT6 full-size sport-luxury sedan. 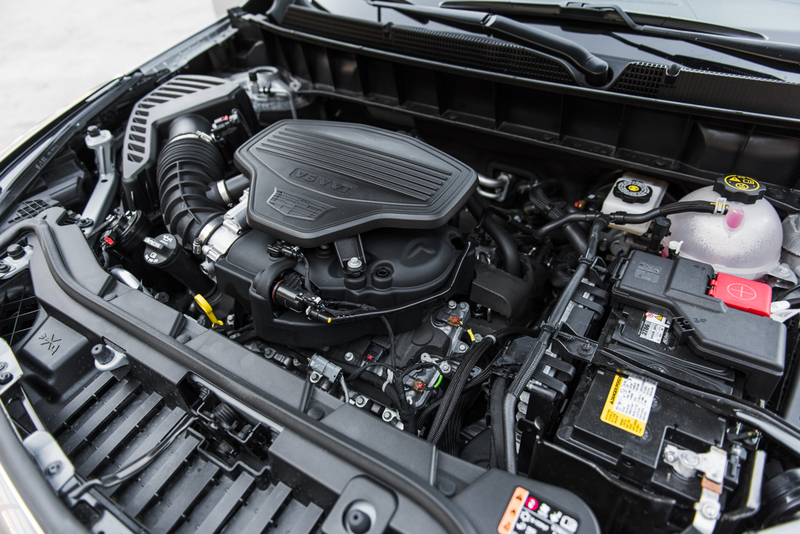 The dual-overhead cam (DOHC) 3.6L V6 LGX is a clean-sheet design, having very little in common with the 3.6L V6 LFX it replaces. 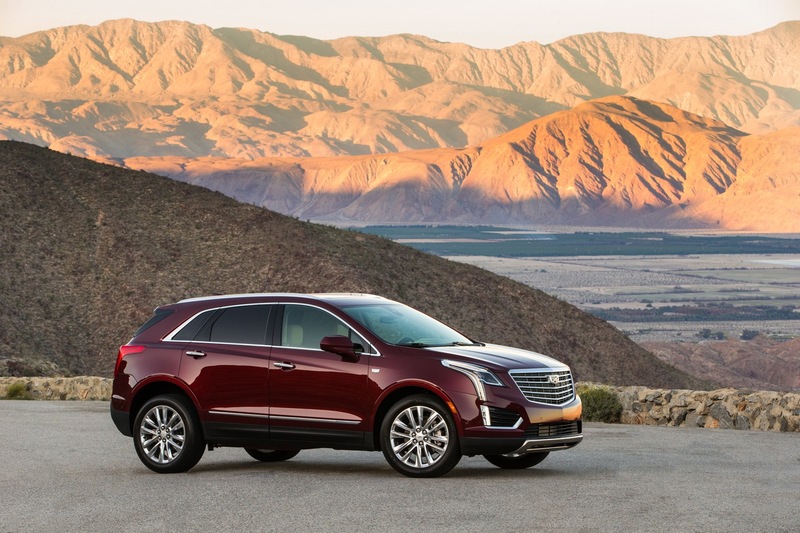 In the XT5, the LGX makes an estimated 310 horsepower and 270 pound-feet of torque while also delivering impressive new fuel-saving technologies such as automatic engine Stop/Start and Active Fuel Management (otherwise known as AFM and cylinder deactivation). 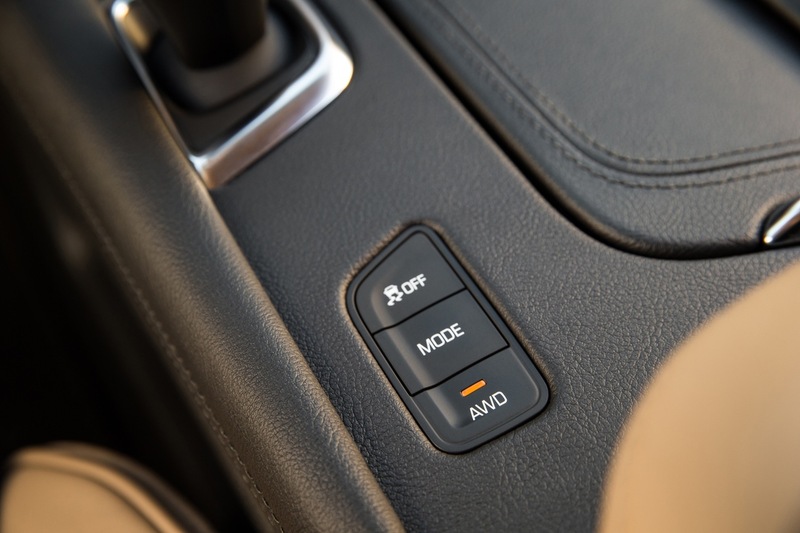 AFM allows the engine to seamlessly and automatically switch to a fuel-saving 4-cylinder mode under low or moderate loads, while Stop/Start automatically stops and starts the engine when the vehicle is at rest in traffic stops, saving fuel and reducing emissions. 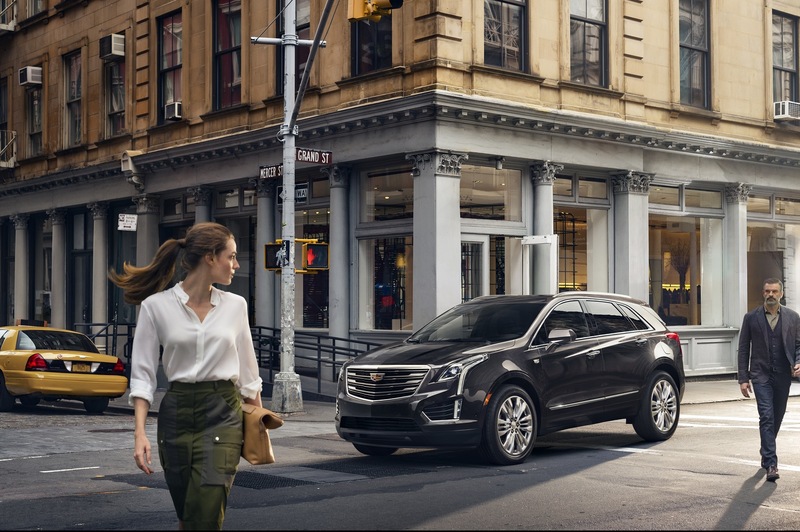 In the XT5, Stop/Start also has the added benefit of enhancing the quietness expected of a luxury vehicle like a Cadillac. 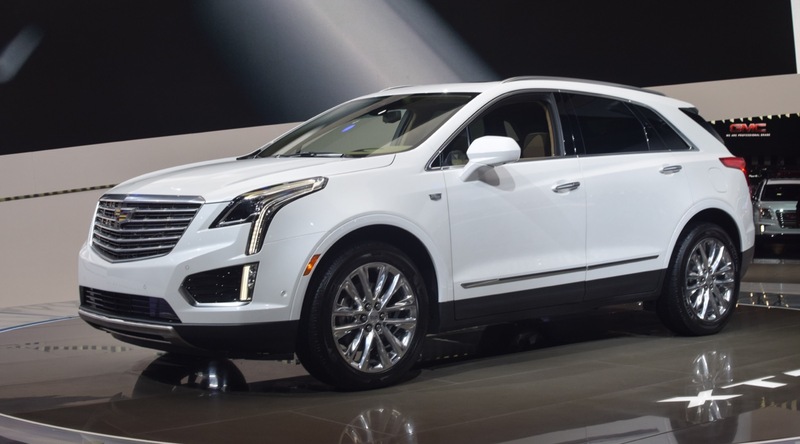 In China, the XT5 is offered with a standard 2.0-liter four-cylinder turbocharged engine — the 2.0L turbo LTG. 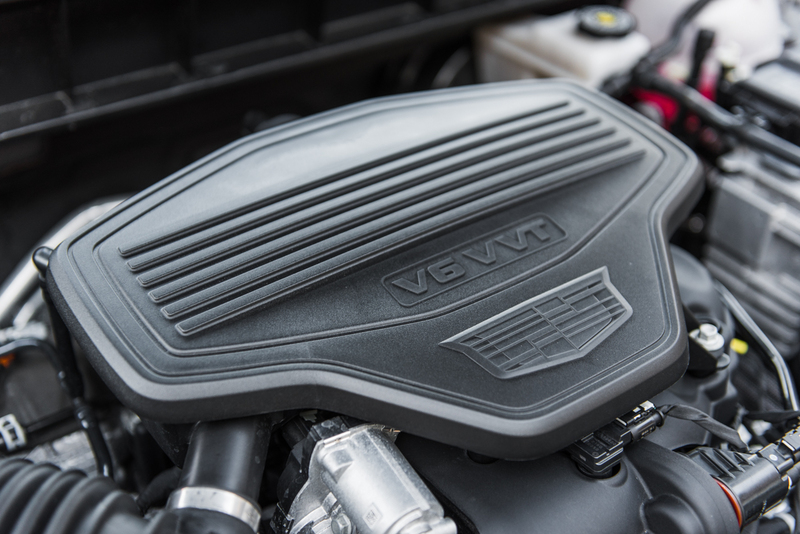 The engine is also available on the ATS Sedan while being standard on the ATS Coupe, CTS Sedan, and CT6 Sedan. 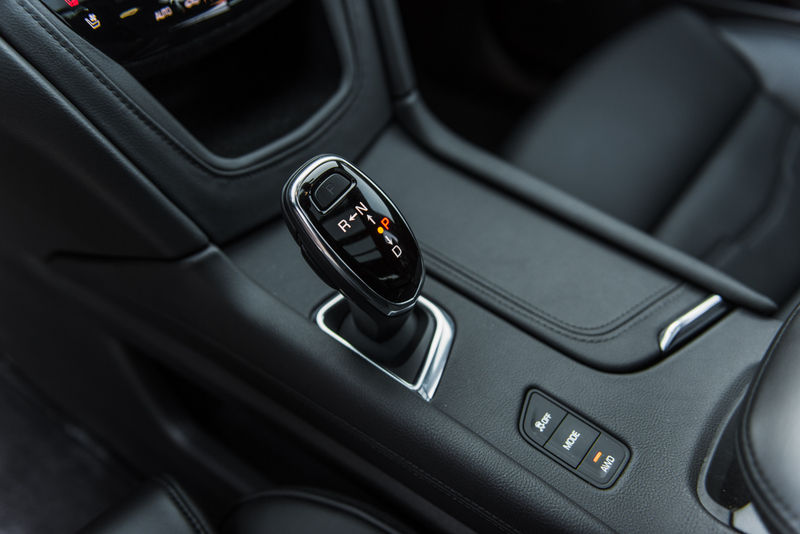 The engine has automatic Stop/Start technology. 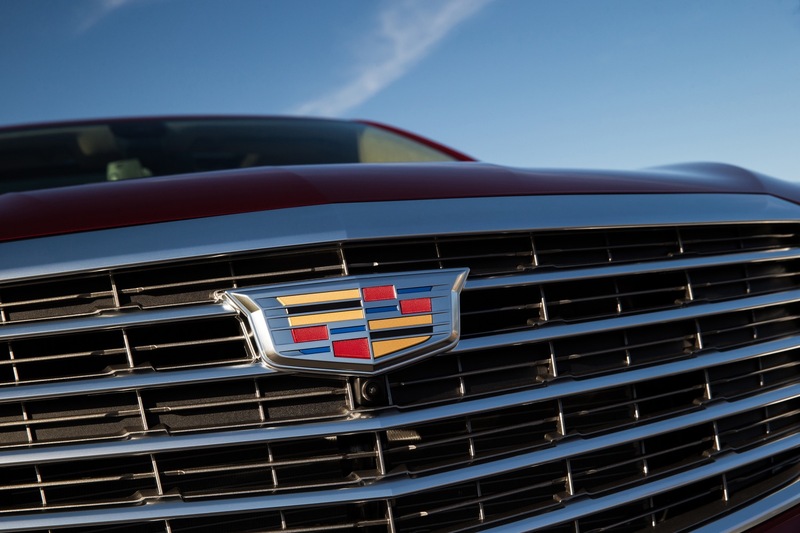 Cadillac describes the turbo four as being “powerful yet compact”, but has yet to provide estimated power figures. 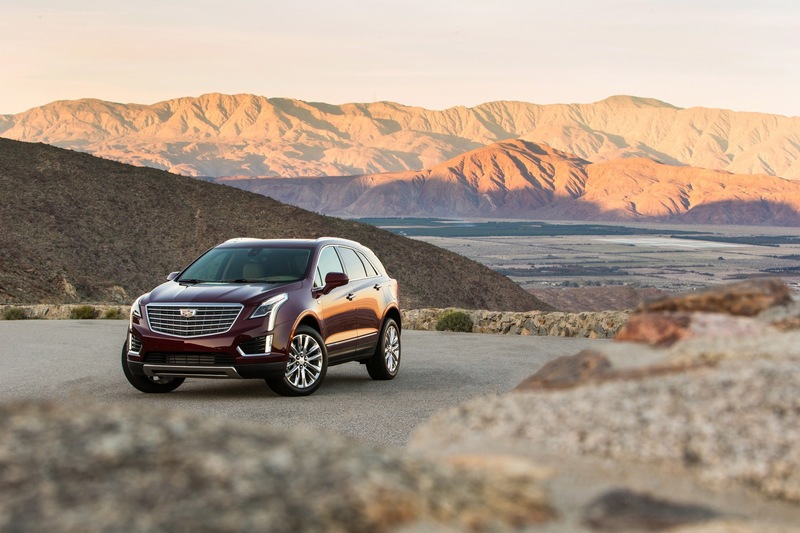 Even so, we’ll note that the Turbo I4 LTG makes 272 horsepower and 295 pound-feet of torque in the ATS and CTS, though it will likely be rated at a bit less in the XT5 due to its traverse-engine and front-wheel drive setup. 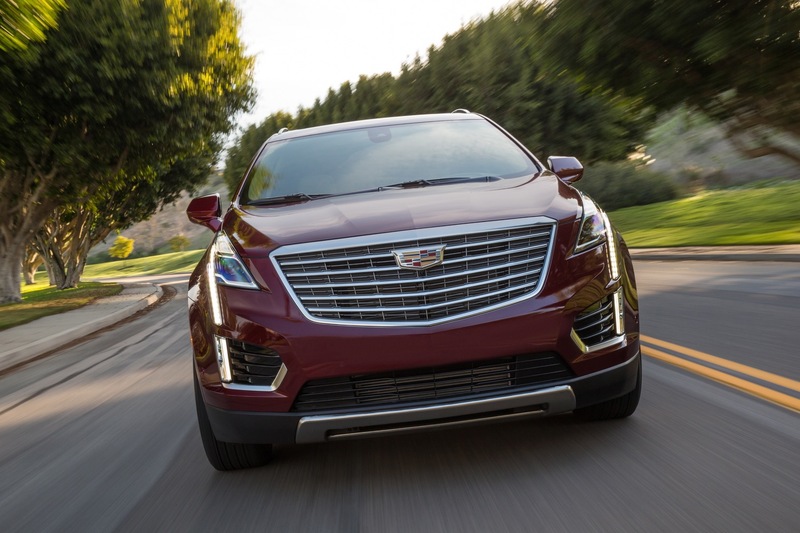 As of this writing, Cadillac has not made a peep about an XT5 V-Sport. However, a potential, sporty V-Sport variant of the crossover will likely add a third engine option in the form of the 3.0L twin-turbo V6 LGW. 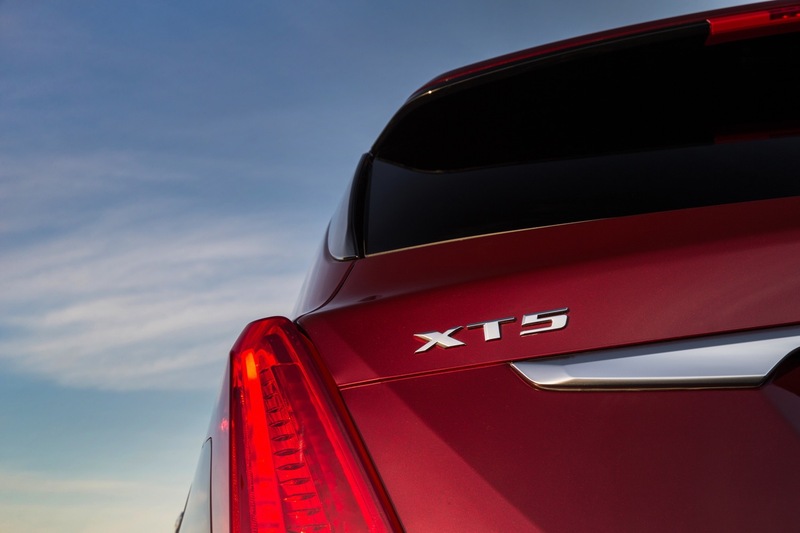 A “full-out” XT5-V is highly unlikely for the new midsize crossover. 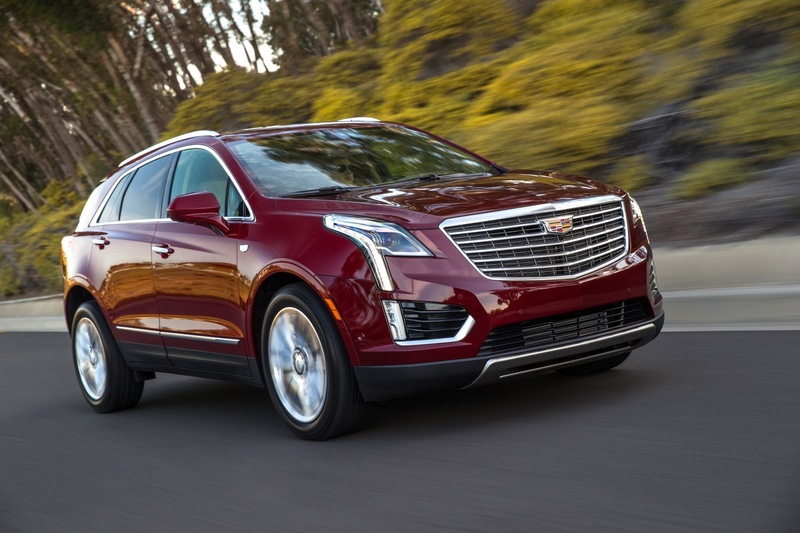 Cadillac has yet to announce what engine(s) will power the XT5 in other markets such as Europe, Russia, or the Middle East. But our bets that Europe will get the turbo four, while Russia and the Middle East will get the six-banger. 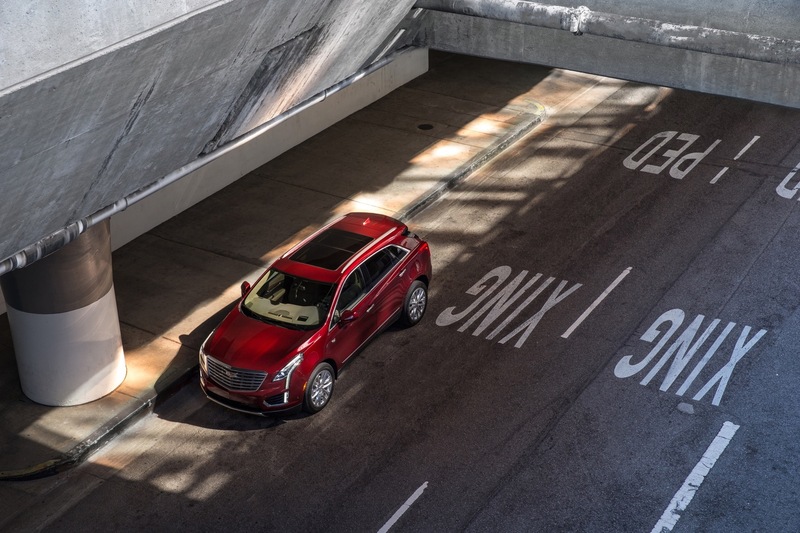 No matter the engine, the new XT5 features a new 8-speed automatic transmission as standard equipment. 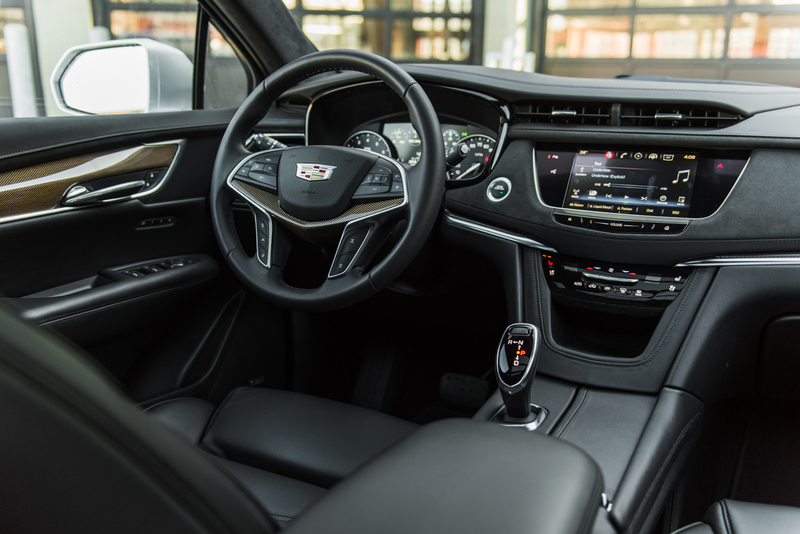 Though the brand has not provided any other details on the transmission itself, we should note that the XT5 debuts Electronic Precision Shift — the first electronically-controlled transmission shifter for a Cadillac. 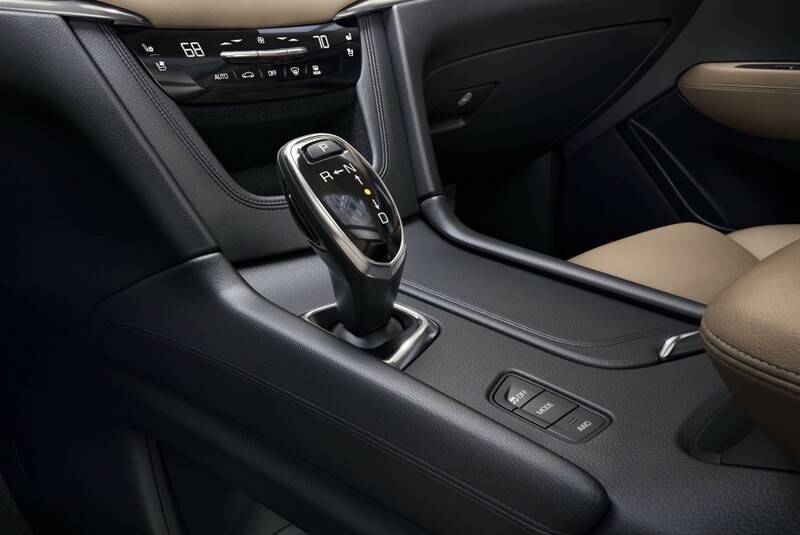 The technology essentially digitizes the shifter, providing the benefits of reduced noise and vibration while allowing further use of the cabin space with a storage space beneath the new “floating” center console. 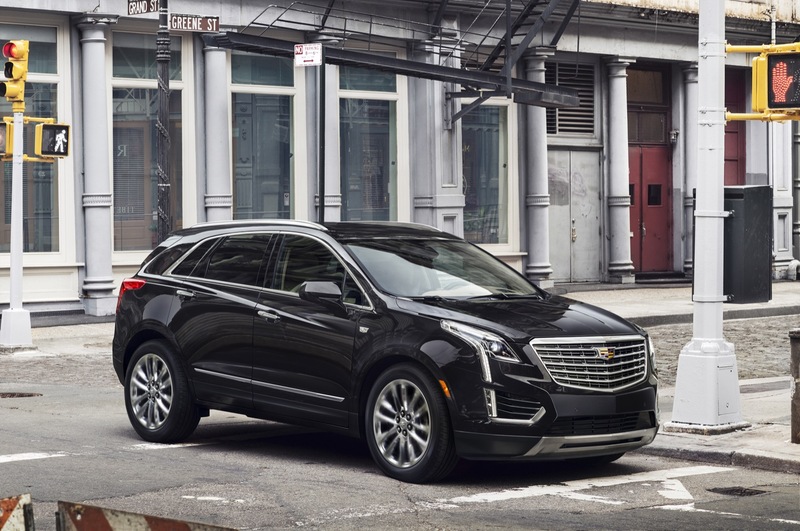 By default, the Cadillac XT5 sends power to the front wheels; a new and advanced all-wheel drive system is offered as an option. 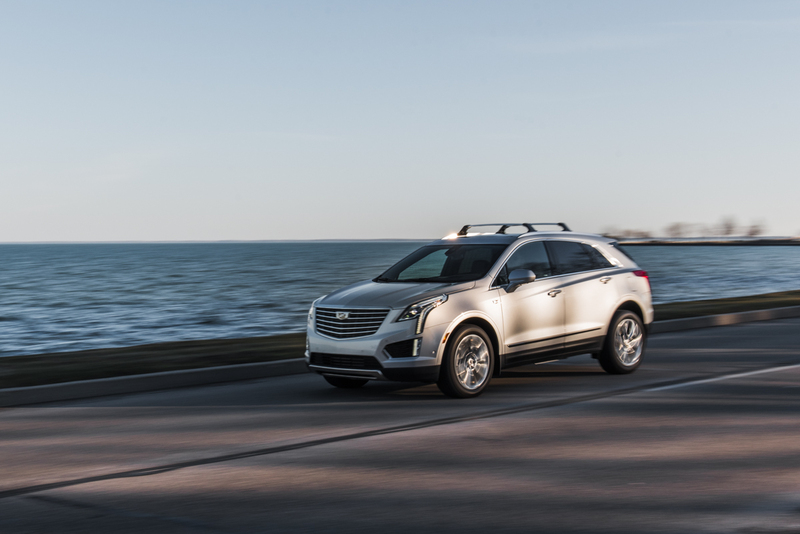 The XT5’s AWD system uses a “twin clutch” design to continuously and automatically deliver outstanding traction in various driving conditions. 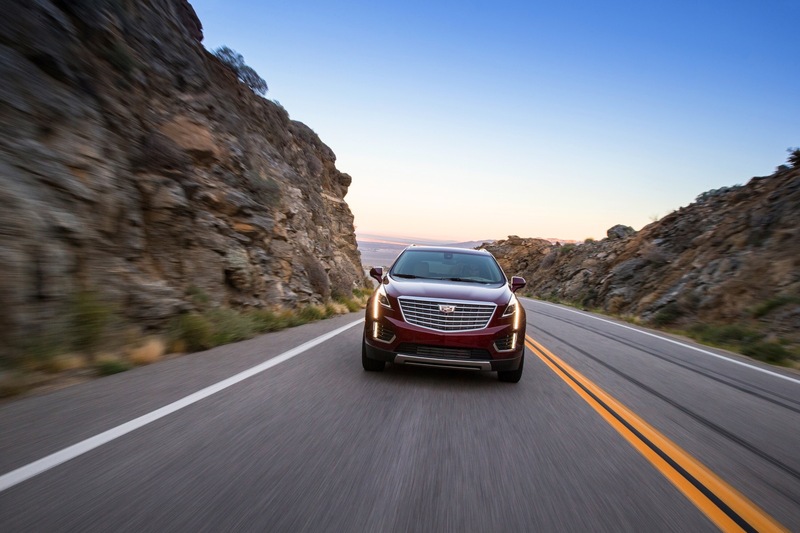 Cadillac says that the system was specifically engineered for strong performance in wet, snowy, or icy conditions, while also being capable of providing enhanced stability in dry weather. 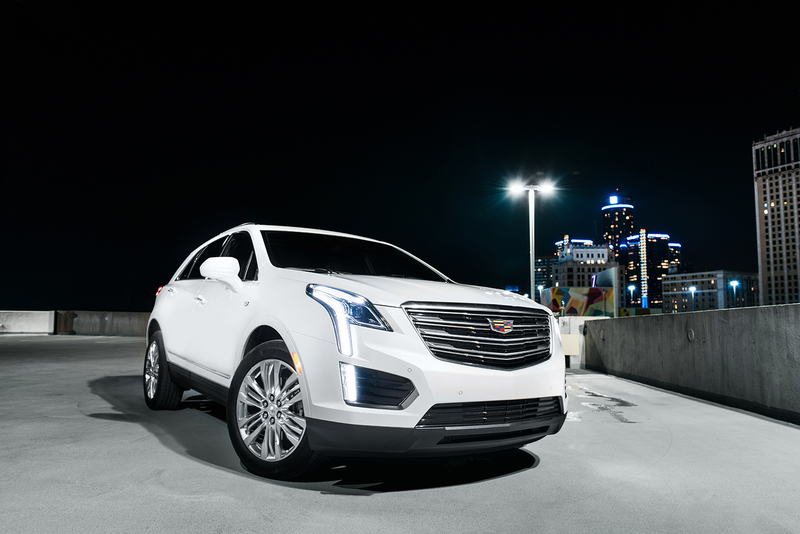 The twin clutch design allows the XT5’s AWD system to transfer up to 100 percent of available torque to either the front or rear axles. 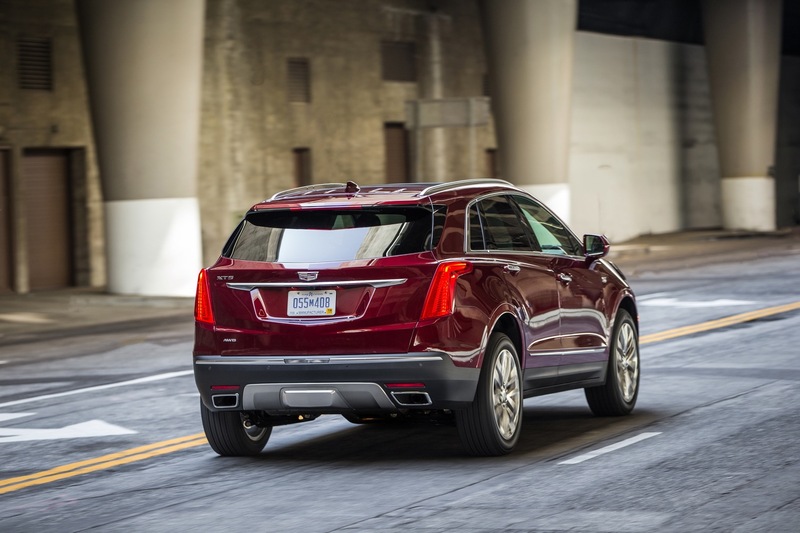 In addition, the system’s electronically-controlled rear differential can direct up to 100 percent of available torque to either wheel laterally. The ability to move power across the rear axle was designed for “split-coefficient” surfaces, such as when there is more water, ice or snow on one side of the road surface than the other. In this respect, the system is similar to the AWD system of the new Buick Envision. 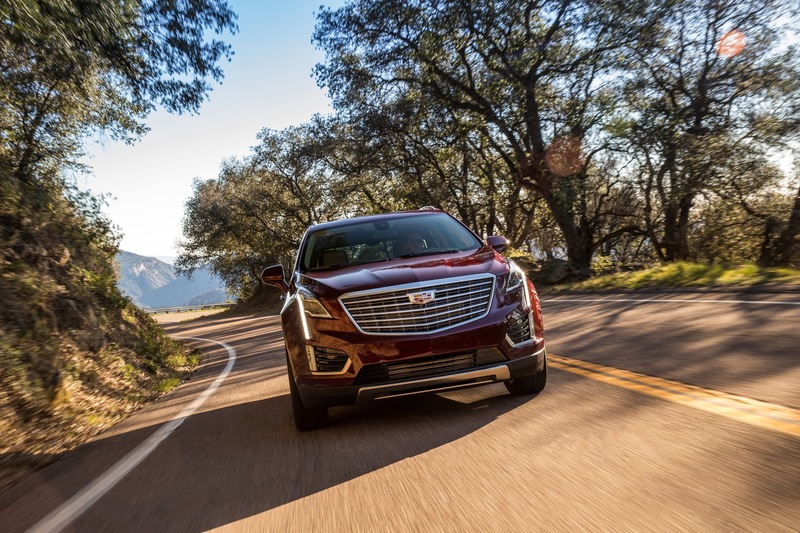 Furthermore, the Cadillac XT5’s AWD system is driver-controlled and includes a new “disconnect” feature that disables the rear drive unit for improved fuel efficiency and reduced emissions. 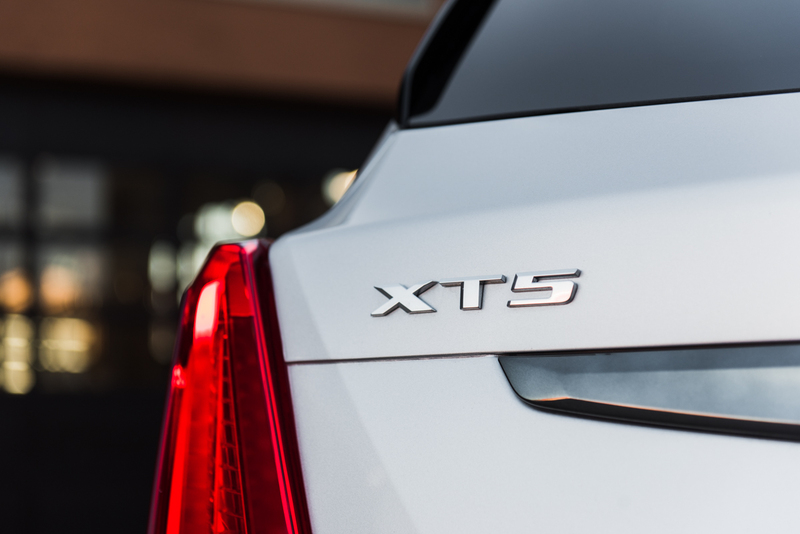 The XT5 name is the result of the overhaul of Cadillac’s new vehicle nomenclature, wherein cars have the CT# name structure while crossovers are known as XT#. 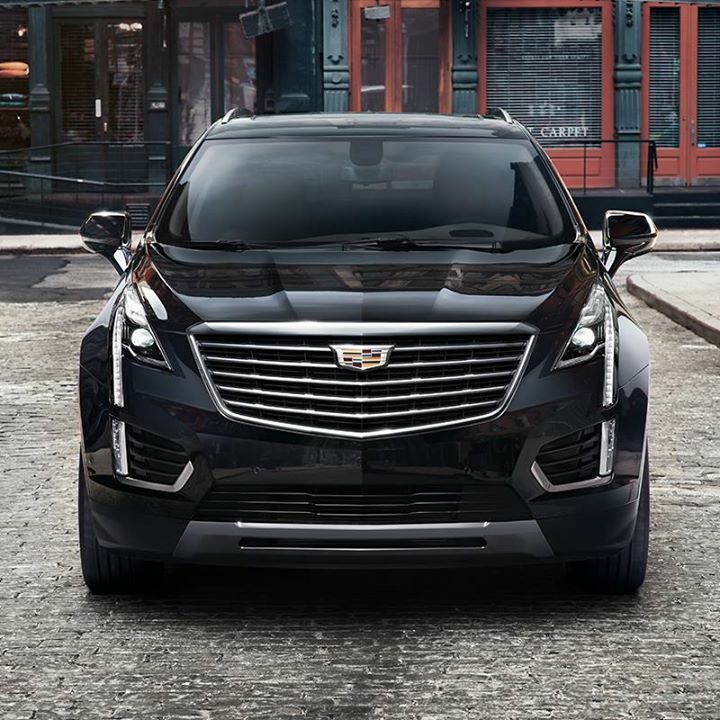 Identifying competitors to the 2017 Cadillac XT5 is not an easy task, since the CUV straddles the compact and midsize CUV spaces. 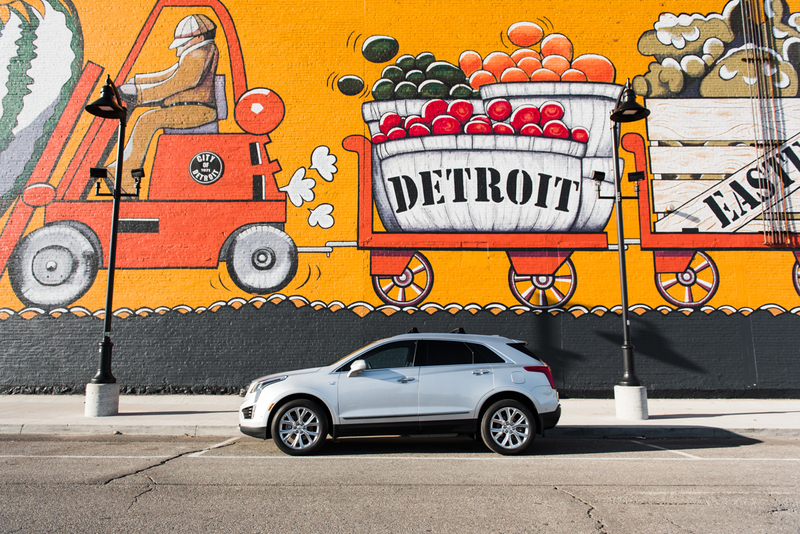 From a size perspective, it fits squarely in the midsize luxury crossover category, while being priced (based on our expectations) at the level of a compact luxury CUV. 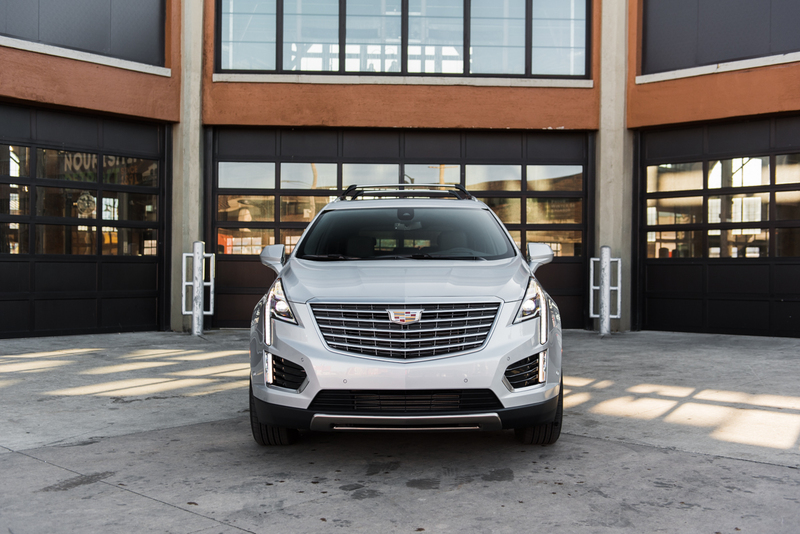 The 2017 Cadillac XT5 rides on an all-new structure and chassis that enable the crossover to be space efficient, lightweight, and deliver agile driving dynamics. Specifically, the architecture is the regular/short-wheelbase version of General Motors’ upcoming C1XX platform. It features a transverse engine orientation sending power to the front wheels as standard; an all-wheel drive system is optional. 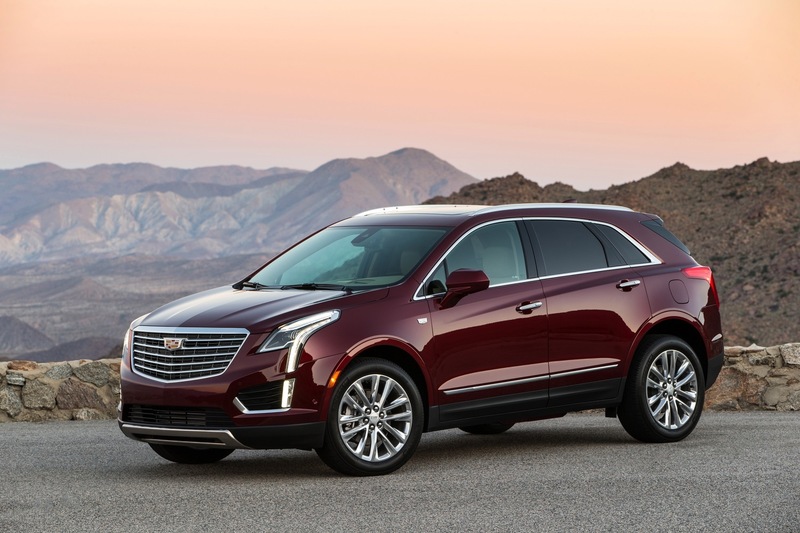 The XT5 benefits from GM-Cadillac’s latest prowess in vehicle lightweighting techniques. 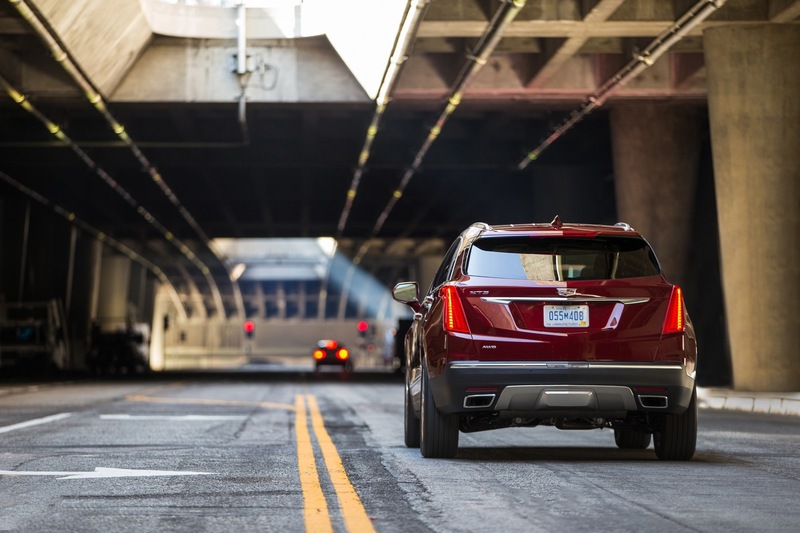 It is 278 pounds (126 kg) lighter than the second-generation SRX it replaces. 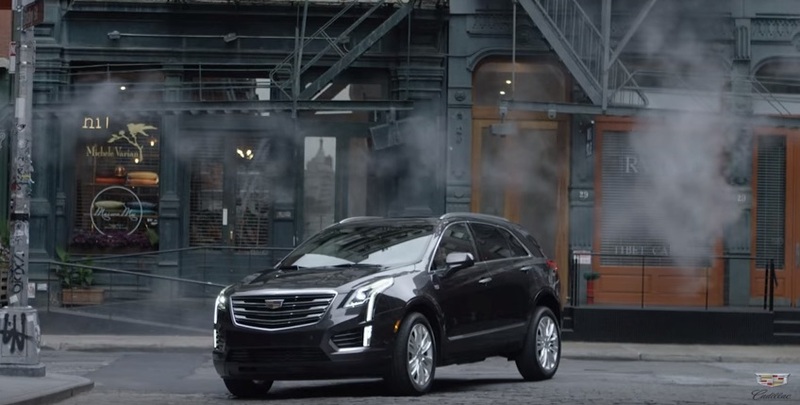 The XT5’s wheelbase measures in at 112.5 inches (2857 mm), an increase of two inches (50 mm) compared to the 110.5 inch (2807 mm) wheelbase of the 2016 SRX it replaces, enabling the XT5 to have 3.2 inches (8.1 cm) more rear-seat legroom than the SRX. 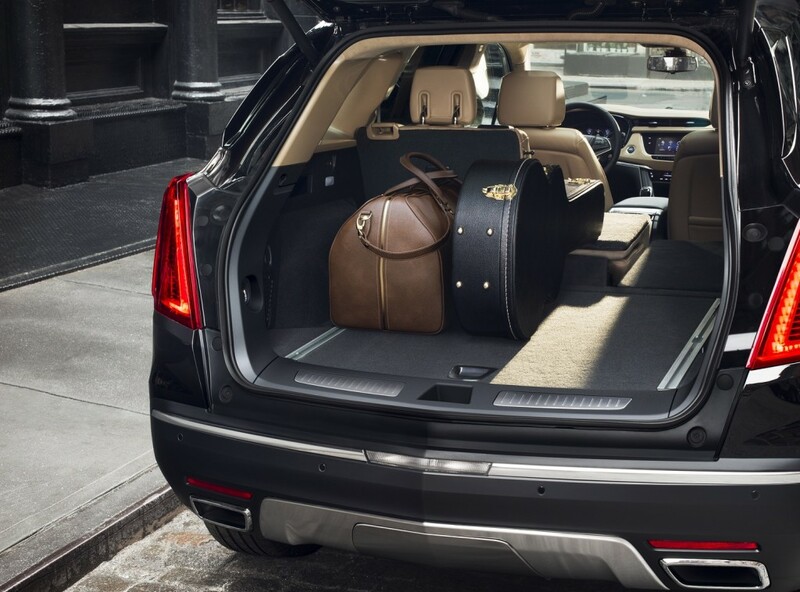 What’s more, the XT5’s rear seat reclines and slides fore and aft. 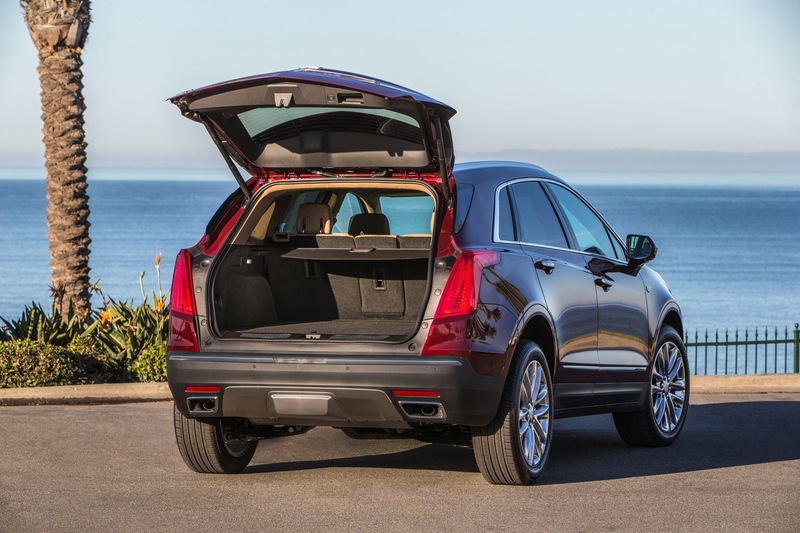 By comparison, the rear seats of the SRX were only capable of reclining, and not capable of sliding back and forth. 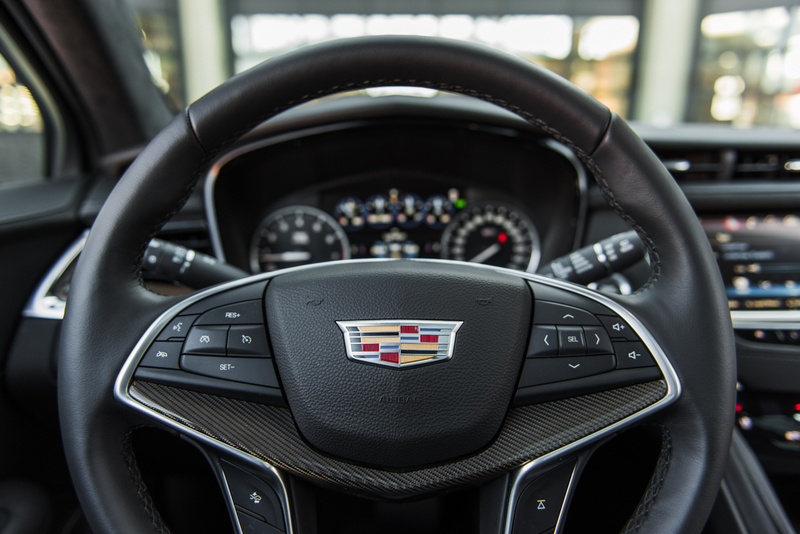 To achieve this, engineers applied many of the same techniques used on the Cadillac CTS and ATS sport-luxury sedans – the lightest cars in their respective segments. These include the use of laser welding, ultra high-strength steel and advanced analytics that ensure a stronger structure, and excellent crash performance with less overall bulk. 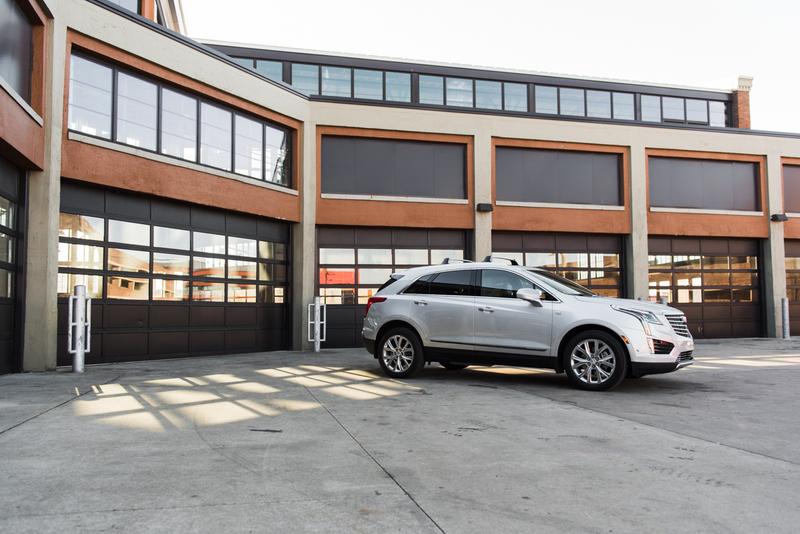 The 2017 GMC Acadia rides on the same C1XX platform as the Cadillac XT5. 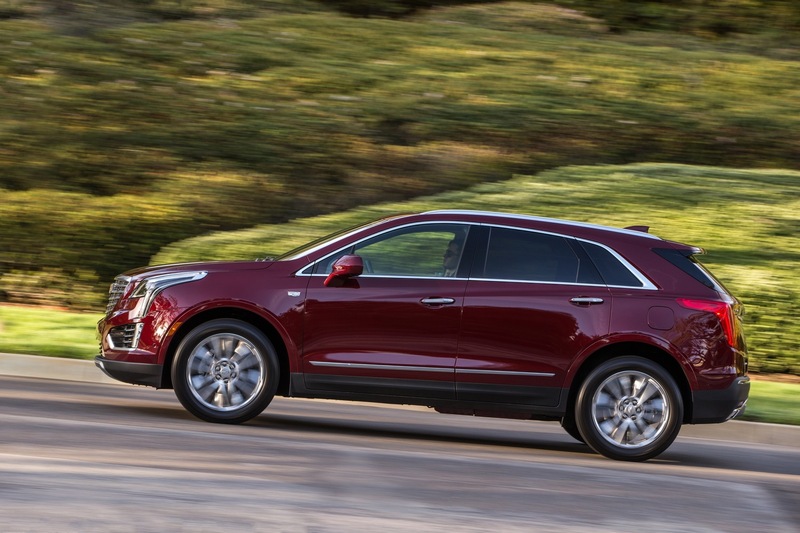 A longer variant of the C1XX platform will be used to underpin the next-gen Chevrolet Traverse and Buick Enclave. In addition, we believe that GM will use the C1XX platform in the rumored Buick Enspire, as well as its twin from the Opel-Vauxhall divisions. 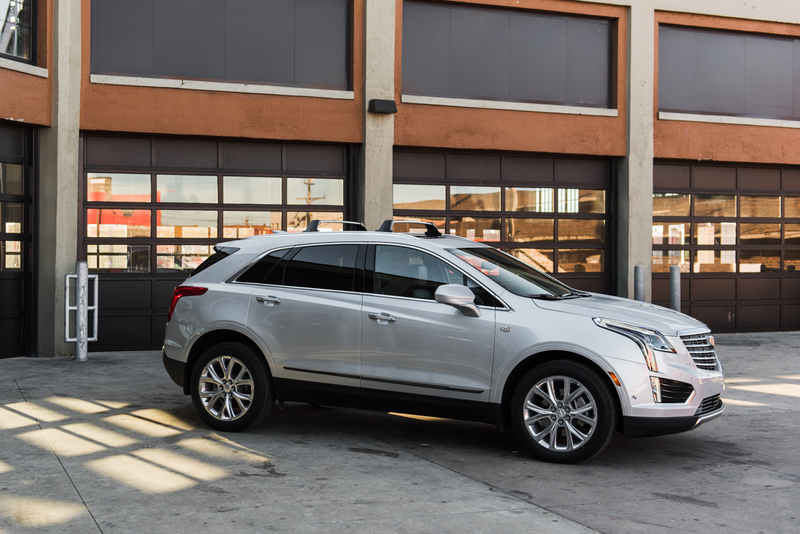 The XT5 is 278 pounds (126 kg) lighter than the SRX it replaces thanks to the new lightweight structure that utilizes new and improved materials and advanced design methods. 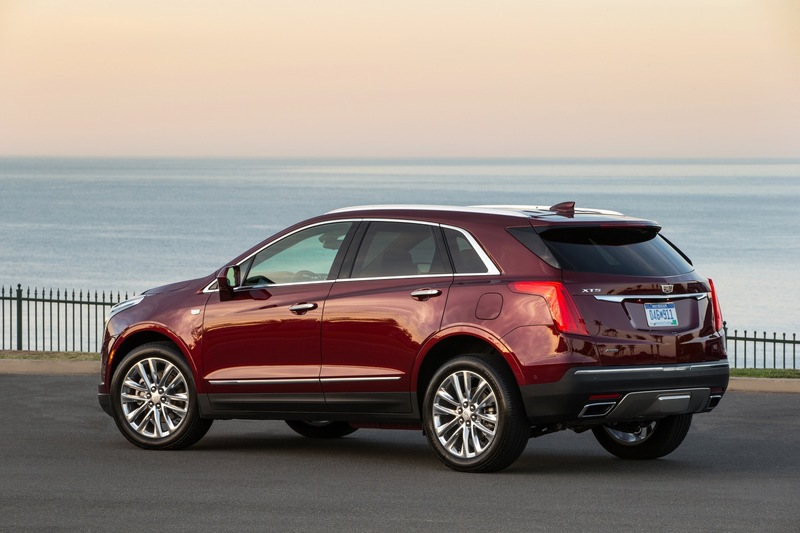 But the new structure isn’t only lighter, it’s also stiffer and stronger than that of the SRX. Together, the new structure joins forces with lightweight suspension components to deliver a solid and connected driver experience. The front suspension design is MacPherson Strut, while the rear utilizes an independent five-link suspension. 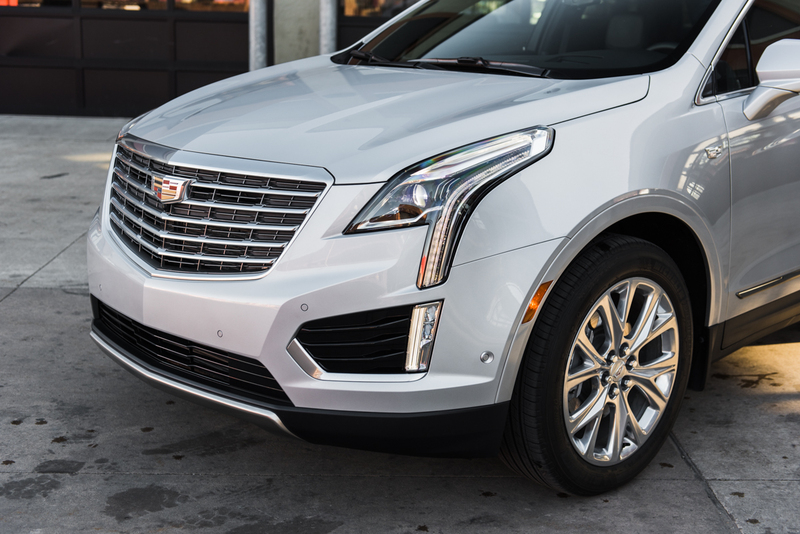 In the front of the XT5’s underbody is a diagonal “A-frame” front chassis brace that enables a more solid feel for the driver as well as increased stiffness during turning maneuvers. 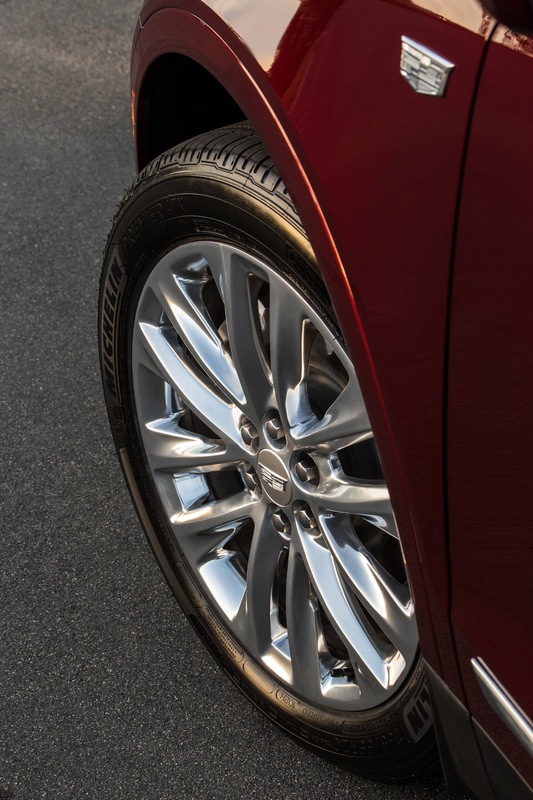 18-inch wheels are standard on the XT5, while 20-inch wheels are optional. 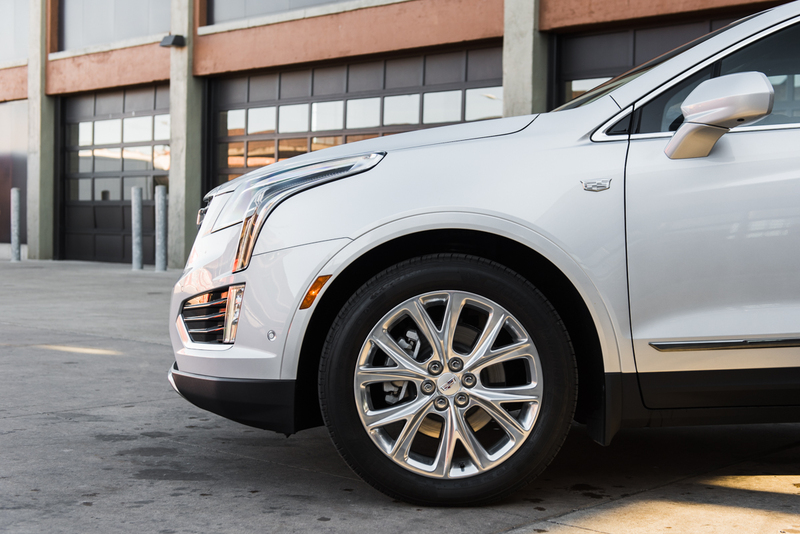 The XT5 doesn’t offer Cadillac’s acclaimed Magnetic Ride Control, at least not on the 2017 model year vehicles, but models equipped with 20-inch wheels have the Continuous Damping Control system to manage ride control in real time. 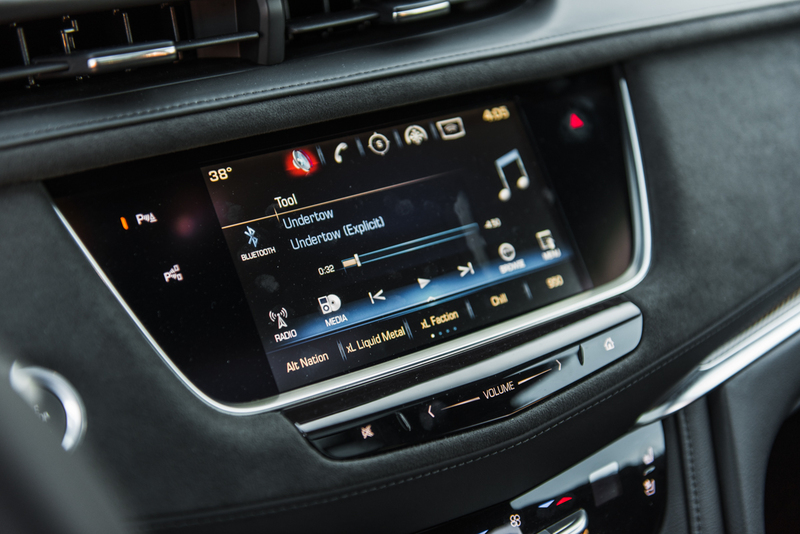 The system is similar to that used in the Buick Regal GS. 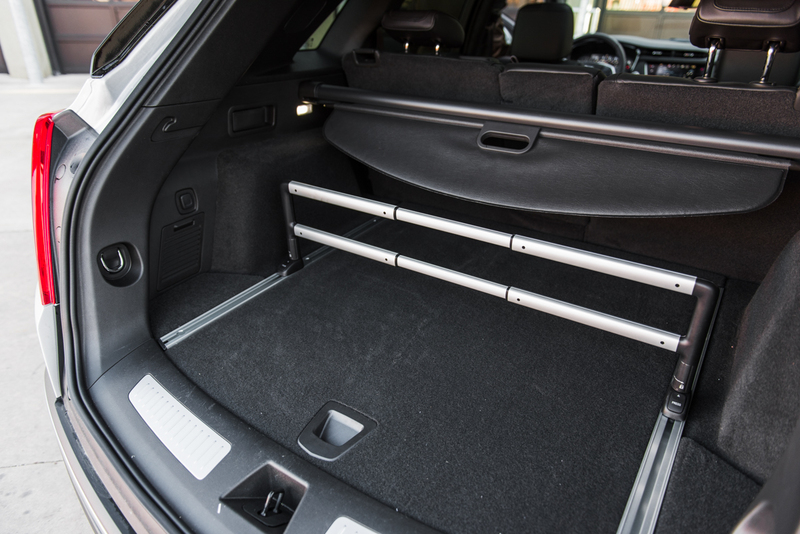 There are also additional ride bushings on the rear cradle that provide added ride comfort for rear seat passengers. 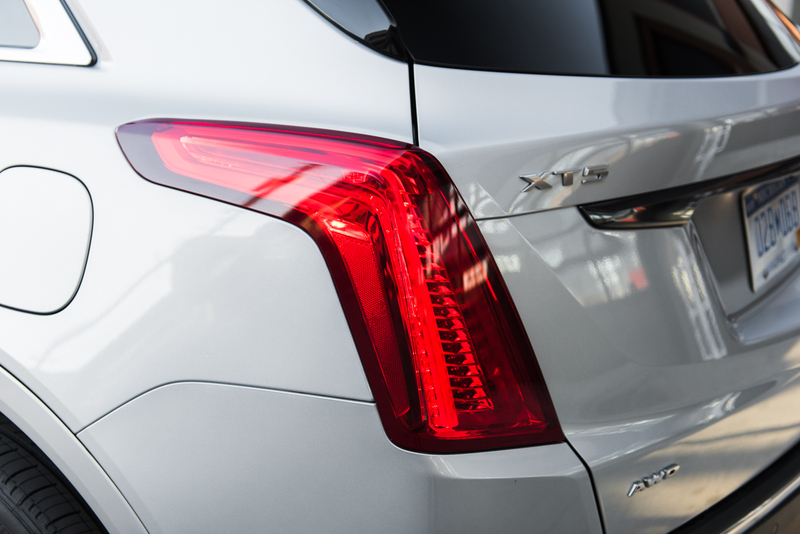 These bushings are exclusive to the XT5 Platinum trim level. 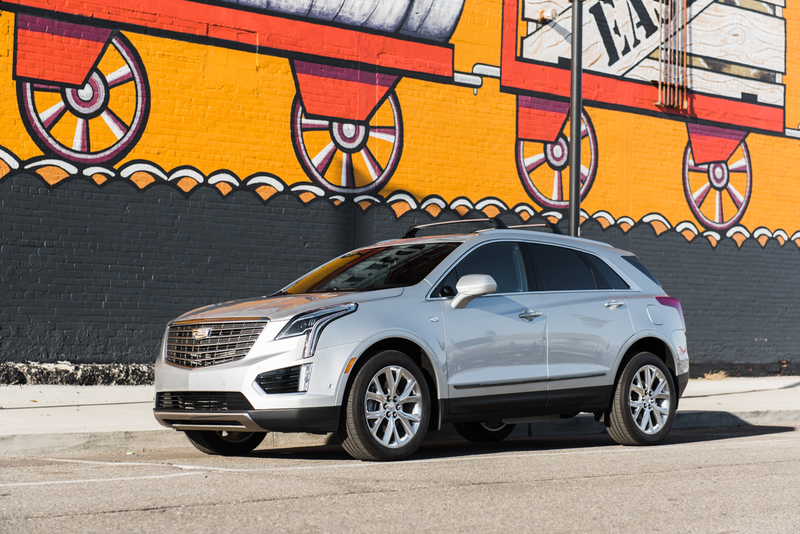 The 2017 XT5 replaces the second-generation SRX in Cadillac’s most portfolio. 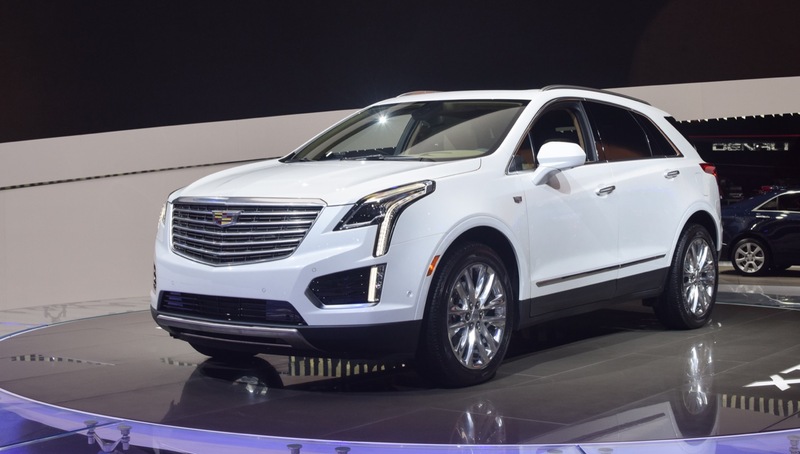 Based on preliminary specifications released by Cadillac so far, the XT5 is just slightly shorter (by 0.8 inch), narrower (by 0.2 inch), and taller (by 0.3 inch) than the 2016 SRX. 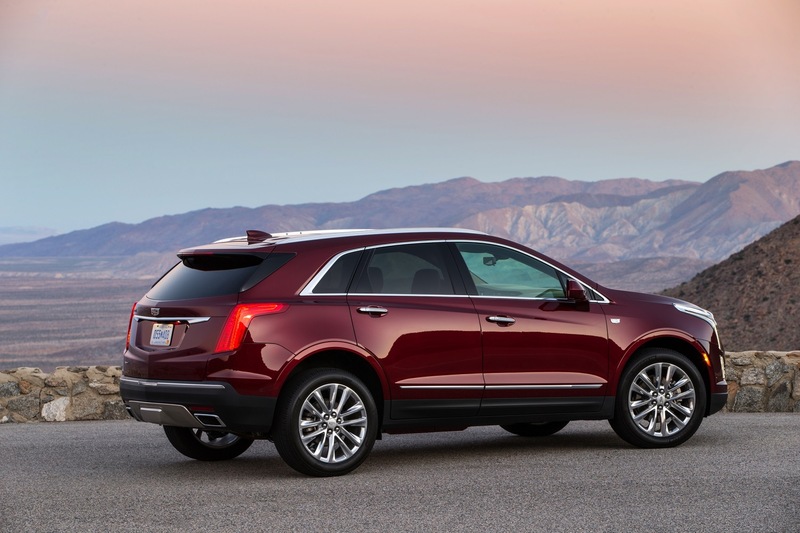 More importantly, the Cadillac XT5 also weighs 278 pounds less than the SRX riding on a wheelbase that’s 2 inches longer. 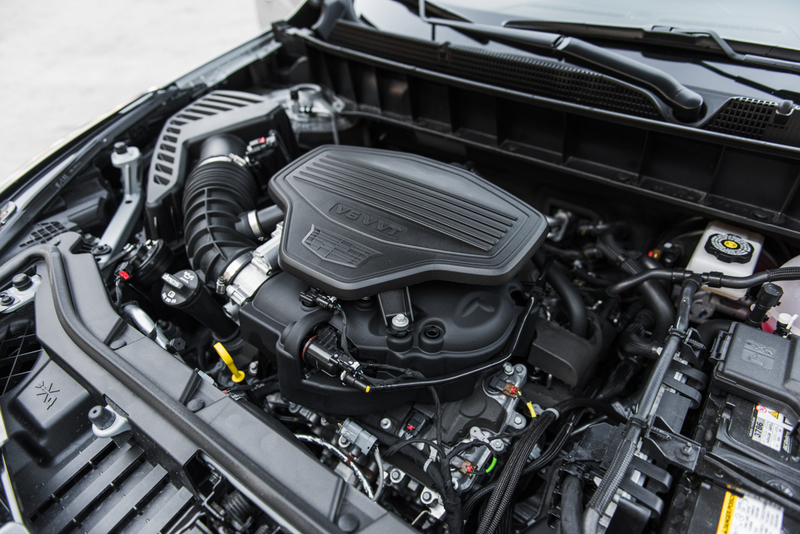 It’s produced in Tennessee rather than in Mexico (for the U.S. market) and is also just slightly more powerful than the SRX thanks to the all-new 3.6L V6 LGX engine. 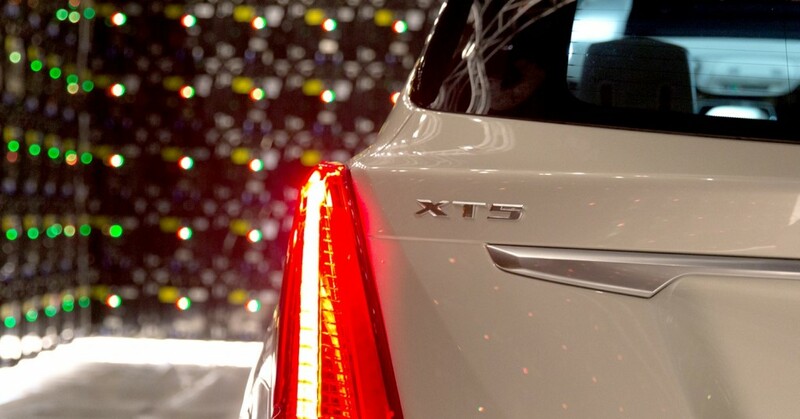 As of this writing, Cadillac has not confirmed nor denied a more spirited variant of the XT5 called XT5 V-Sport. 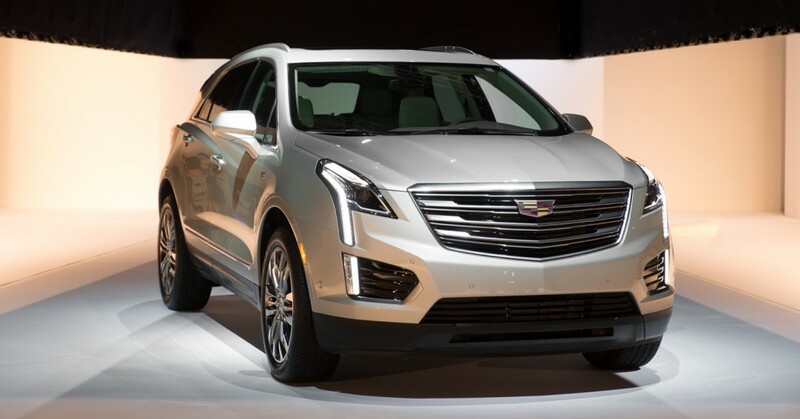 However, the vehicle will likely be added later on the XT5’s lifecycle. 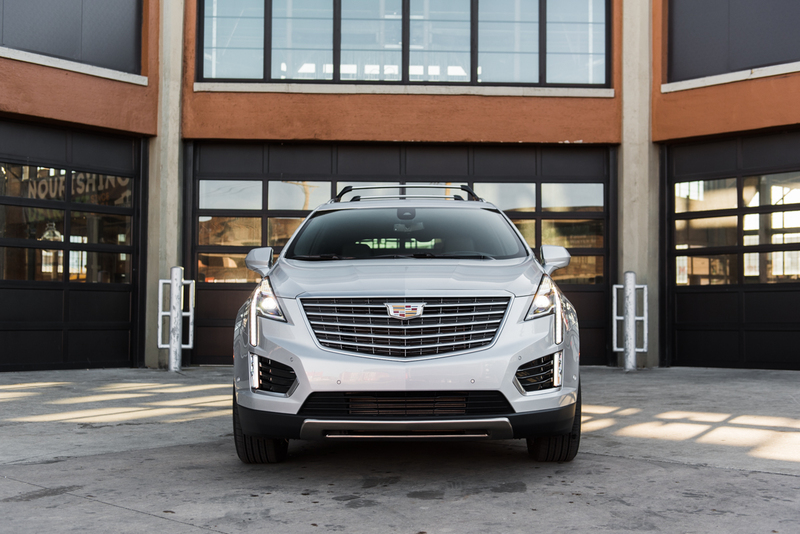 See more on the Cadillac XT5 V-Sport. 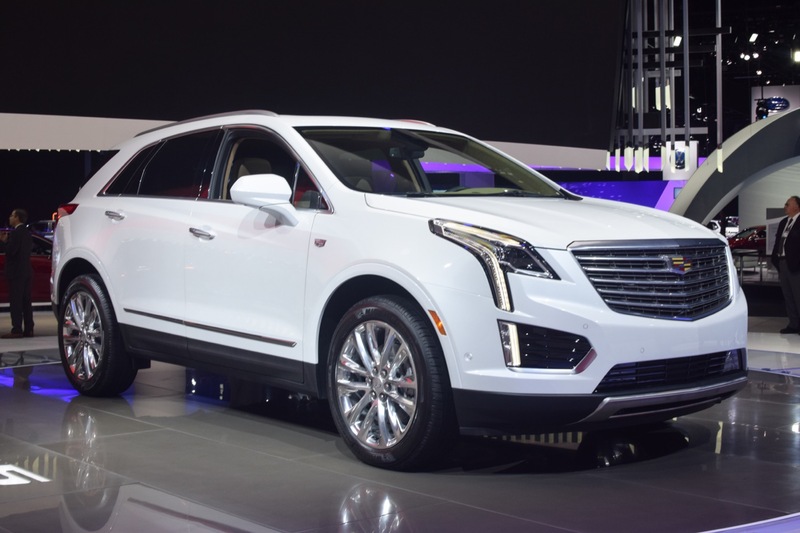 It is highly unlikely that Cadillac will make a full-out XT5-V from this generation of the XT5. 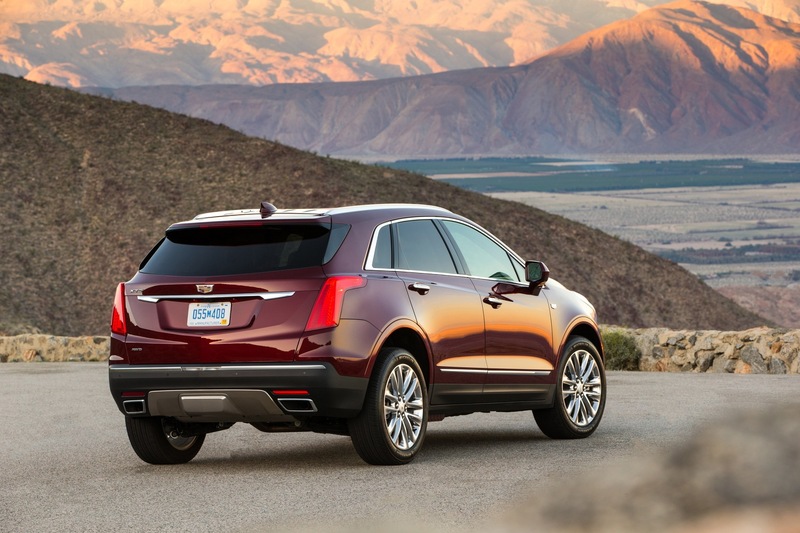 We believe this to be the case due to the inherent limitations of the XT5’s front-drive, transverse-engine platform. The architecture’s configuration results in a nose-heavy weight distribution, which is unfavorable when it comes to performance vehicles. 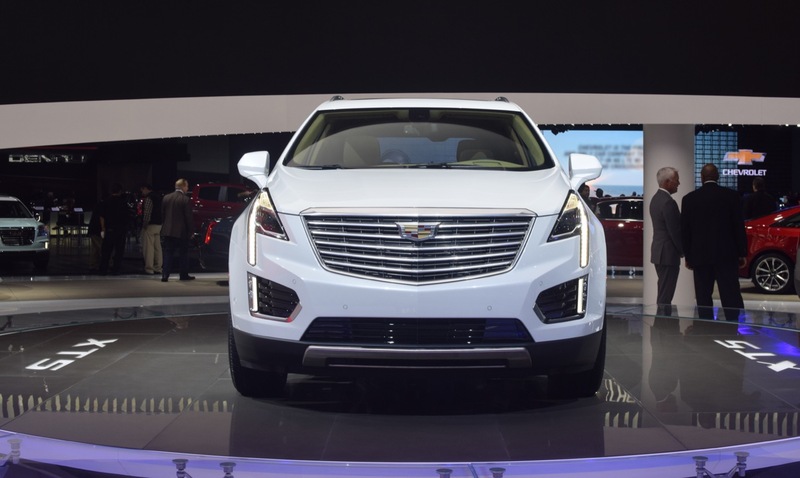 The 2017 Cadillac XT5 was unveiled at the 2015 Dubai International Motor Show on November 9, 2015. 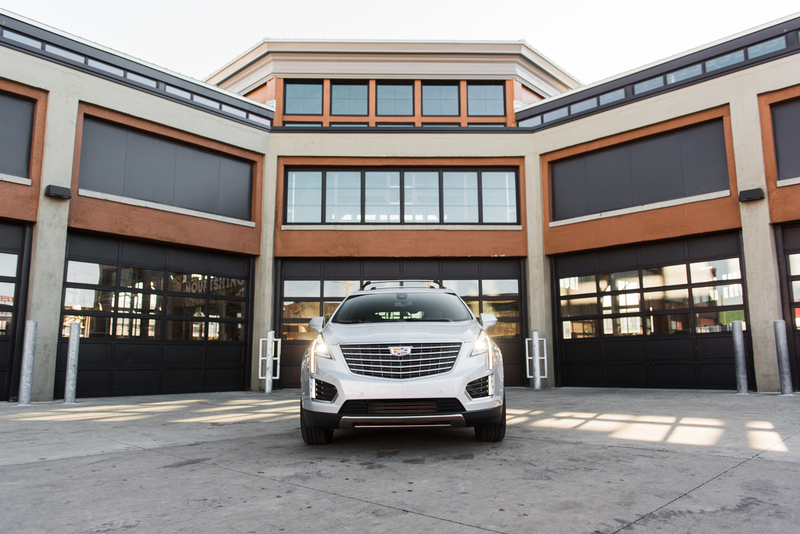 For all markets outside of China, the 2017 Cadillac XT5 is produced at GM’s Spring Hill plant in Tennessee, United States. 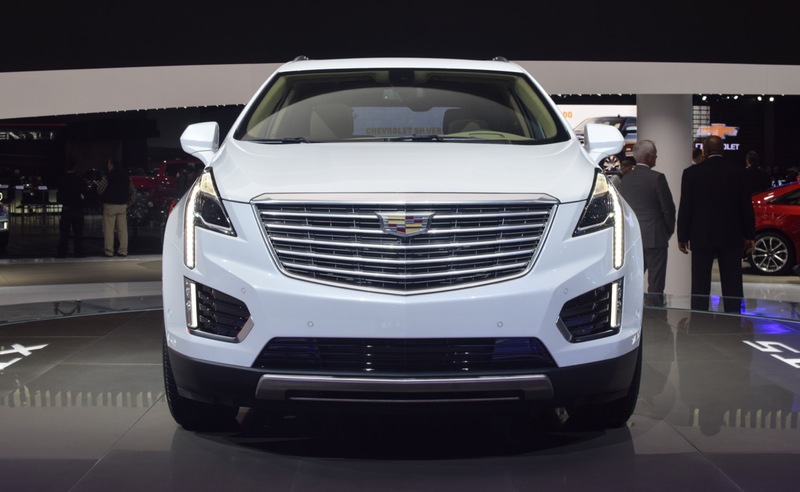 The Cadillac XT5 is assembled at plant in China for the Chinese market. 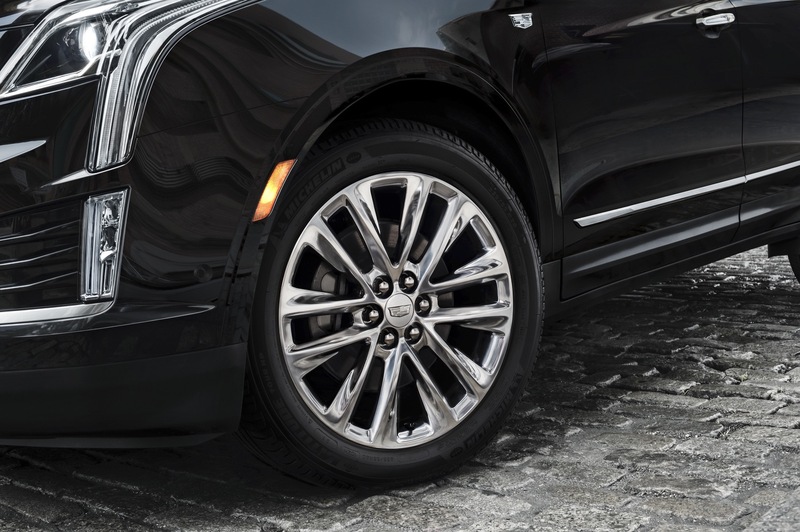 All-wheel drive remains an option on the Luxury and Premium Luxury models, while being standard on the Platinum trim. 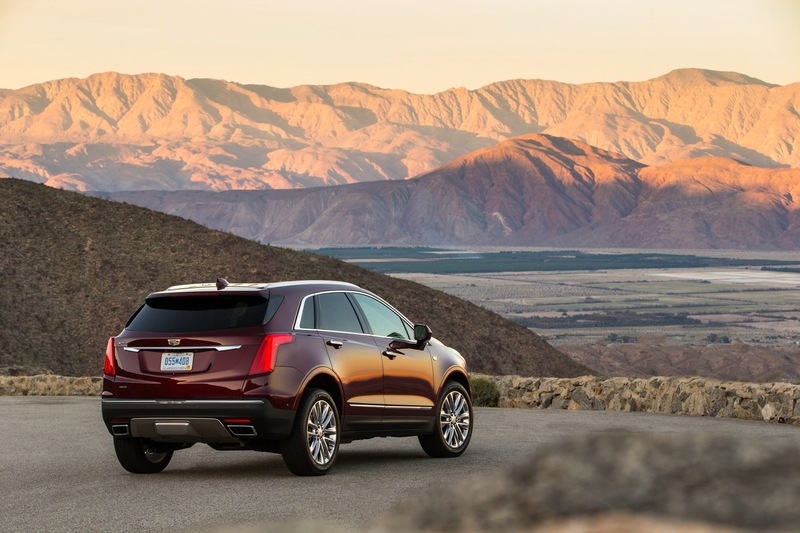 The 2017 Cadillac XT5 begin arriving at dealerships across the U.S. and Canada in April of 2016. 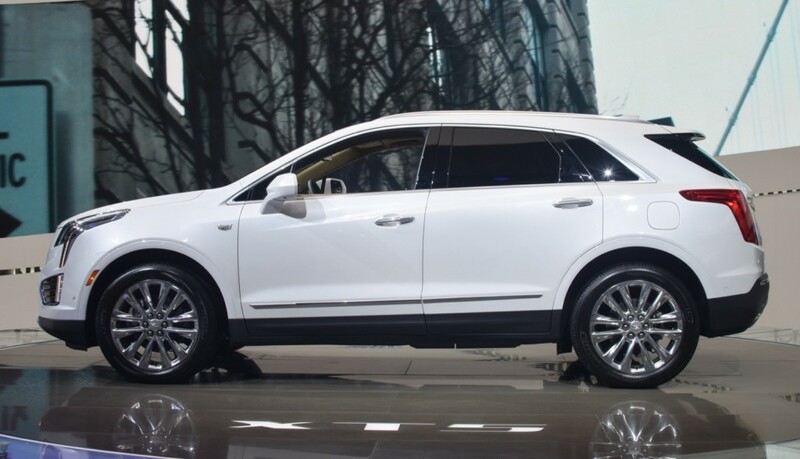 In China, the XT5 will launch on April 12th, 2016. 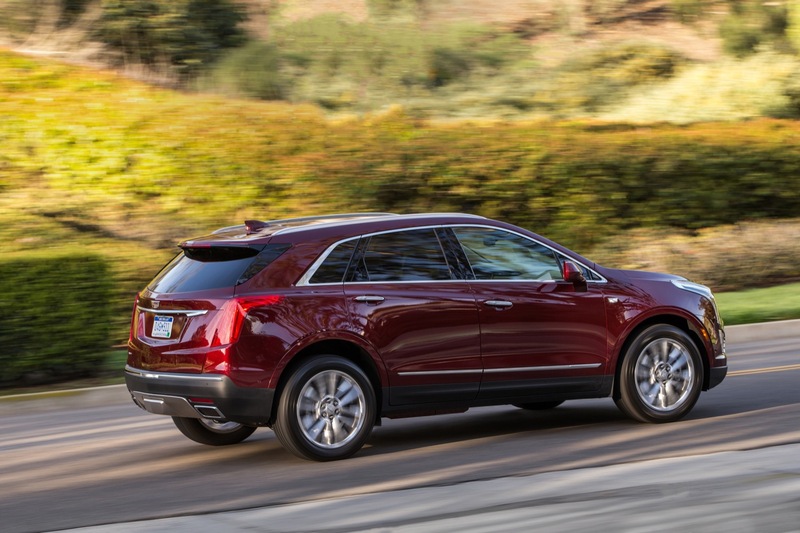 Download the 2017 Cadillac XT5 order guide.